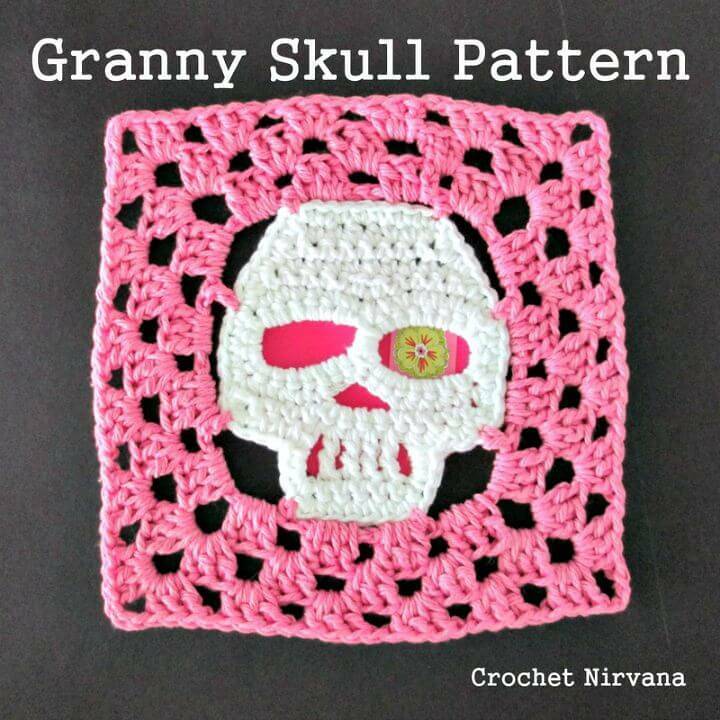 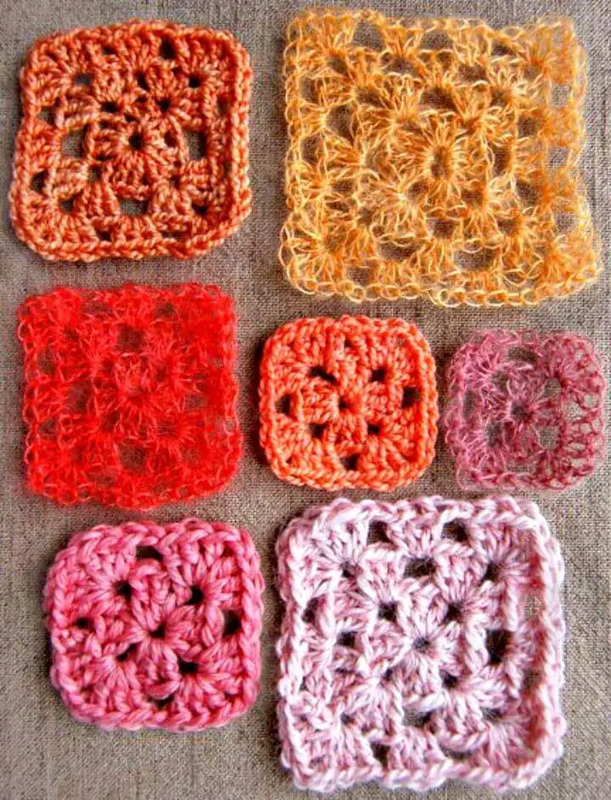 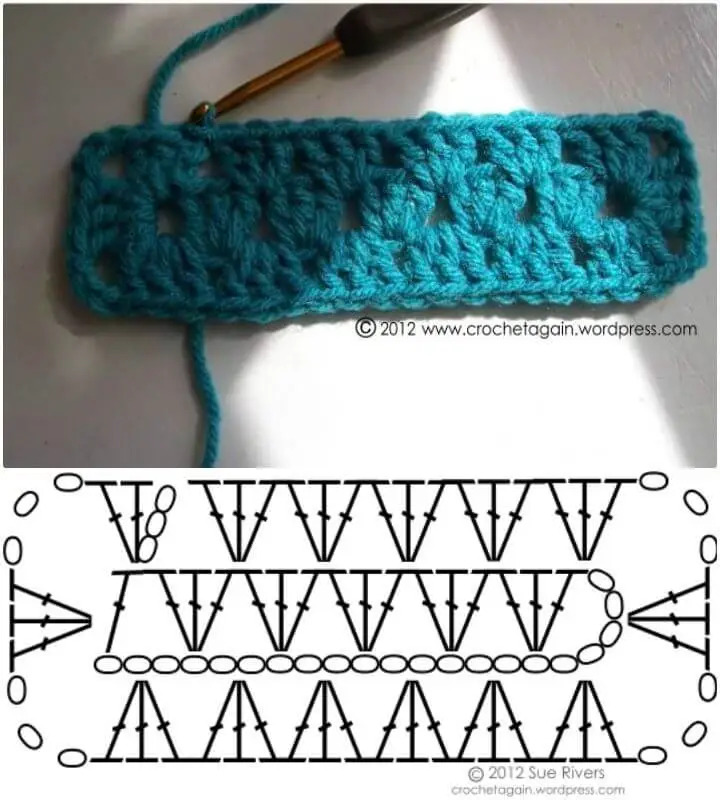 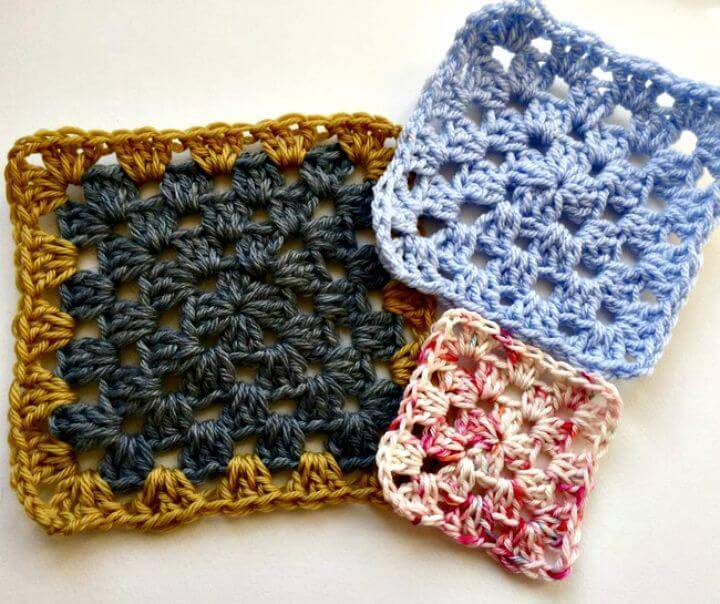 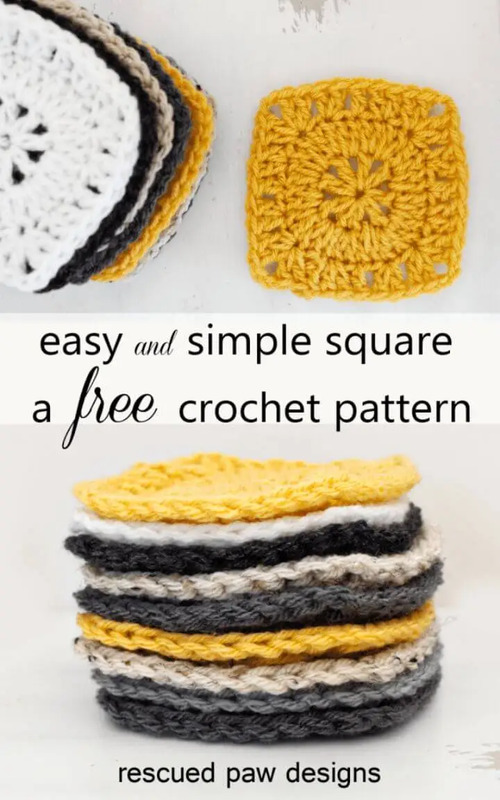 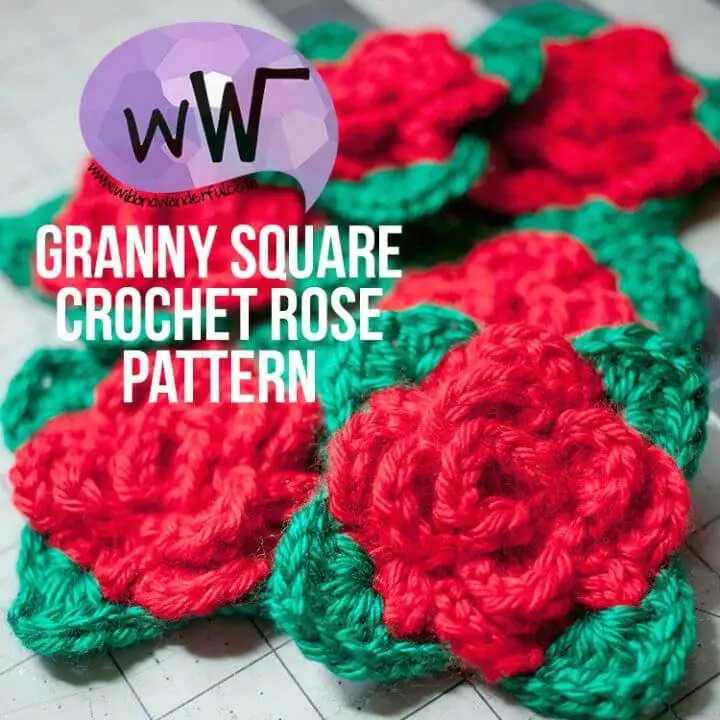 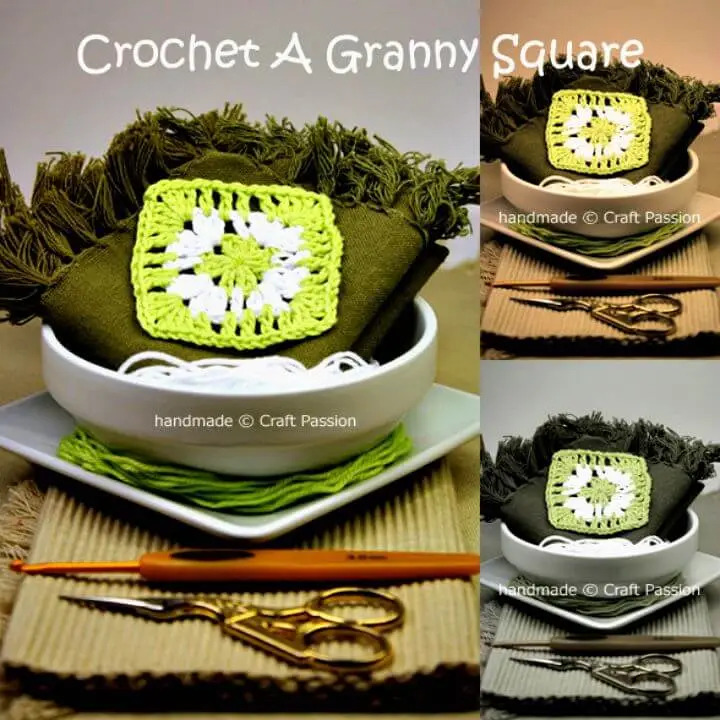 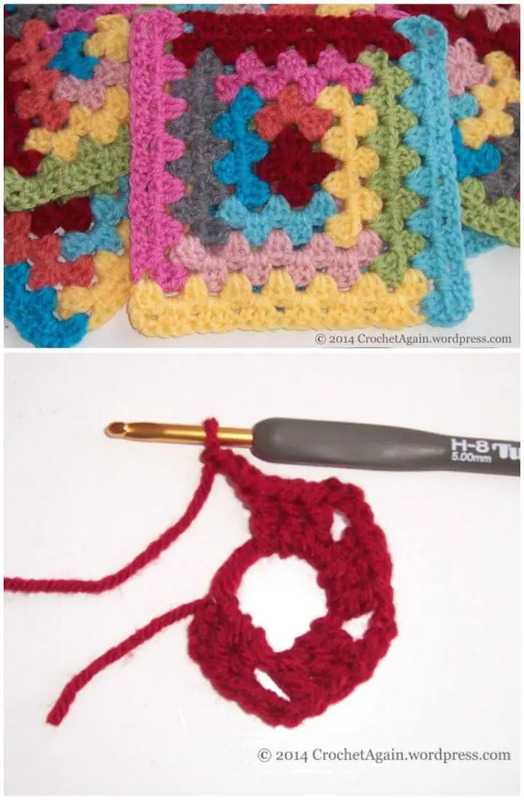 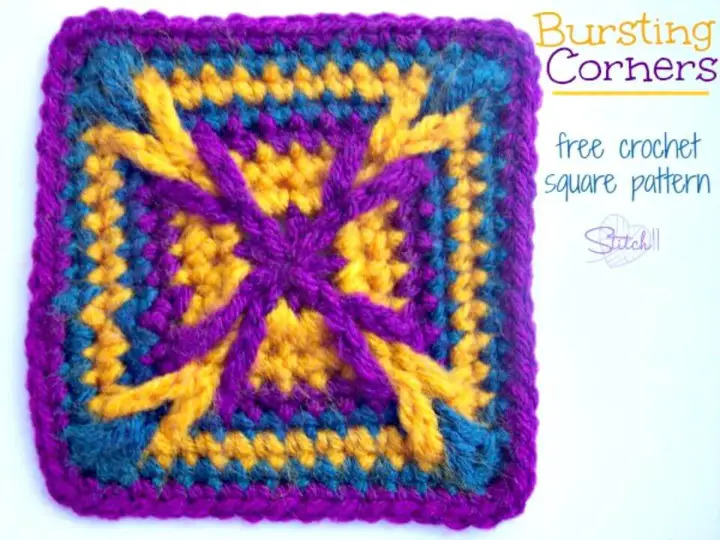 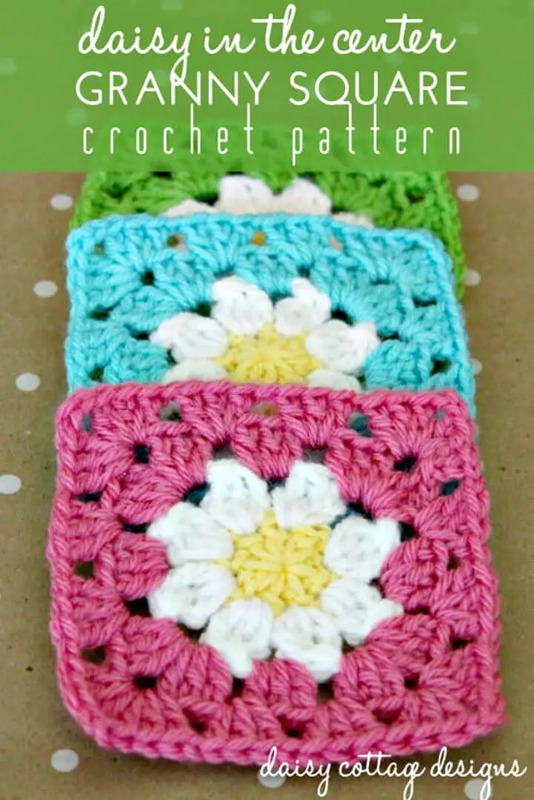 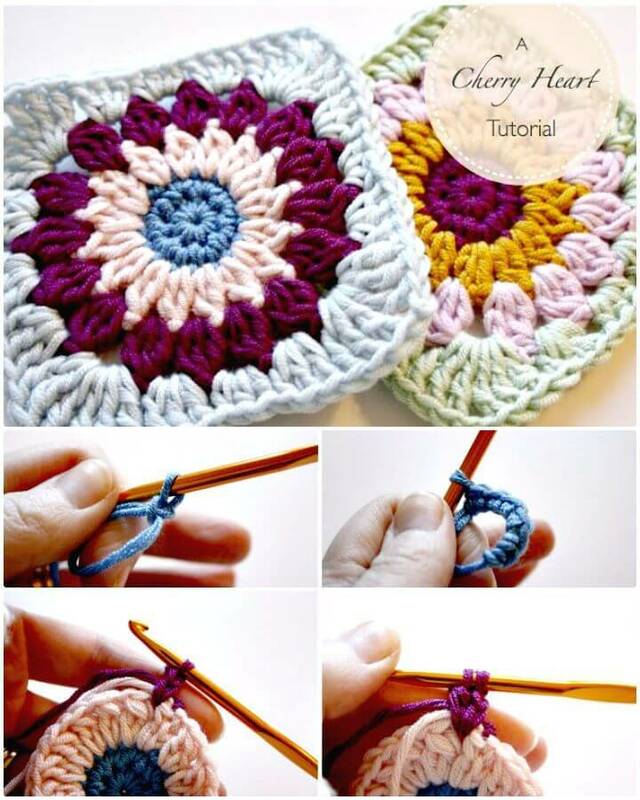 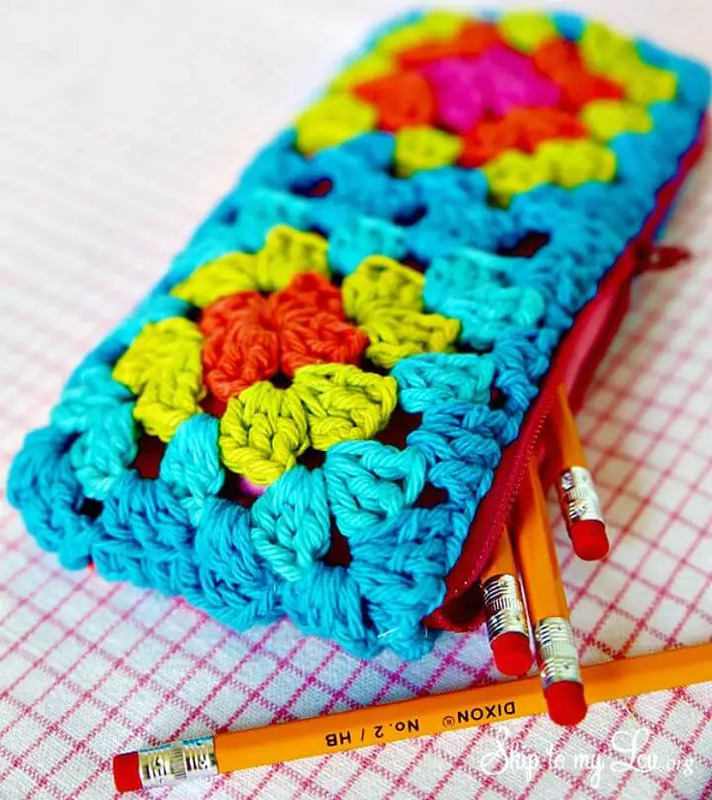 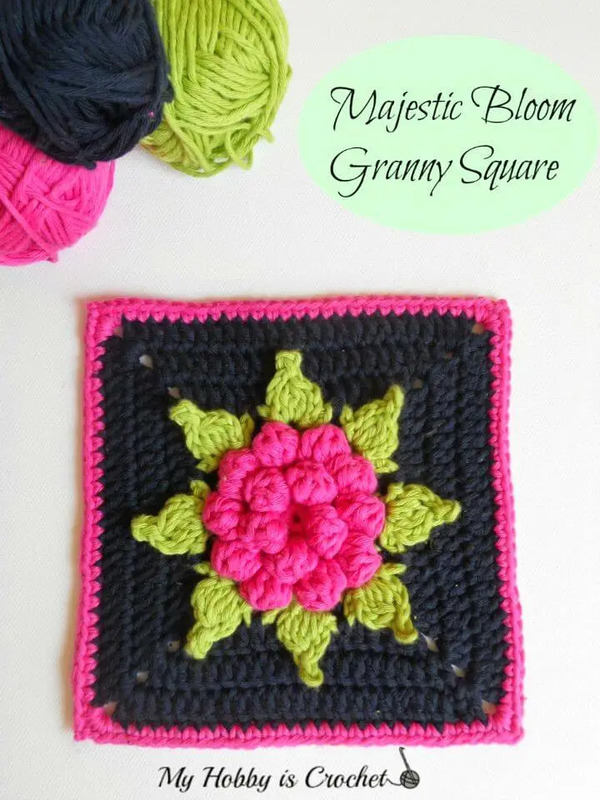 One of the most popular terms in the crocheting world is a granny square, is great crocheting staple! 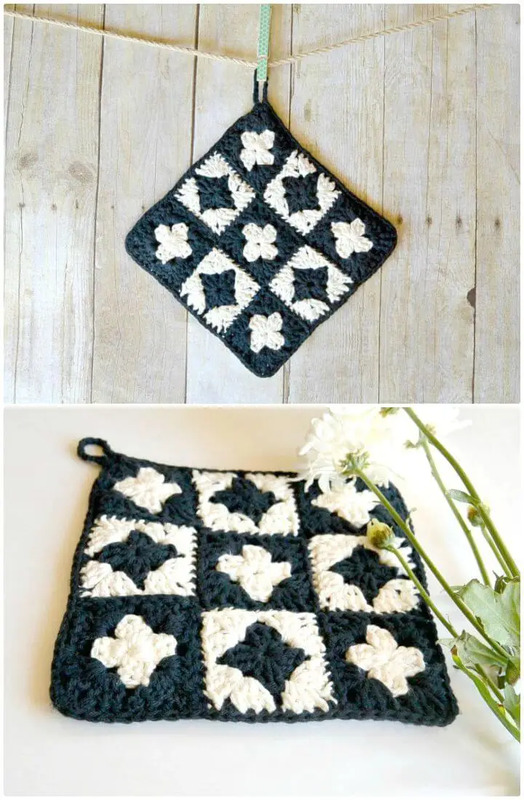 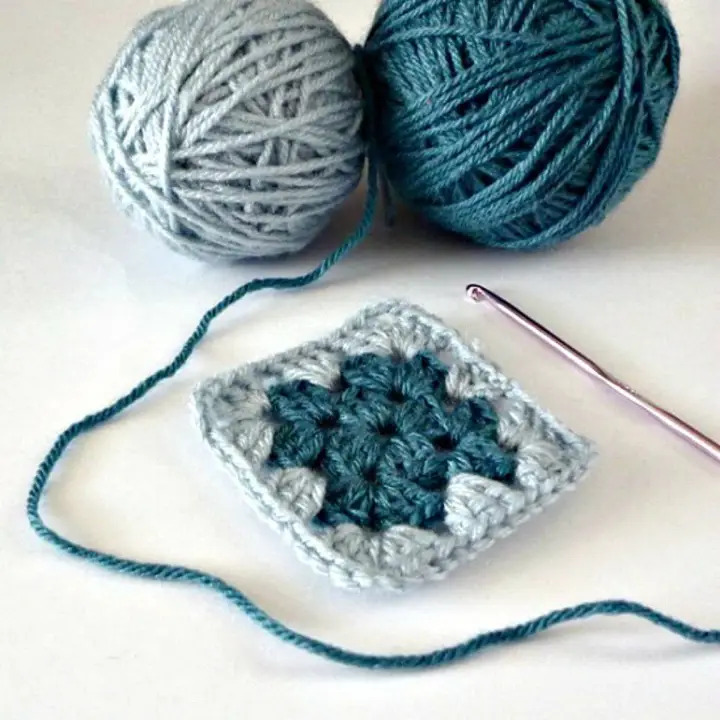 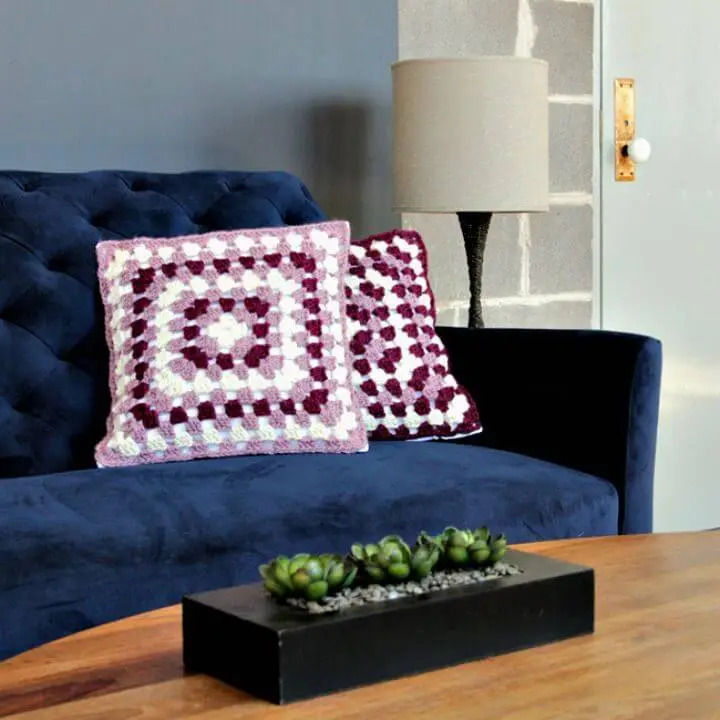 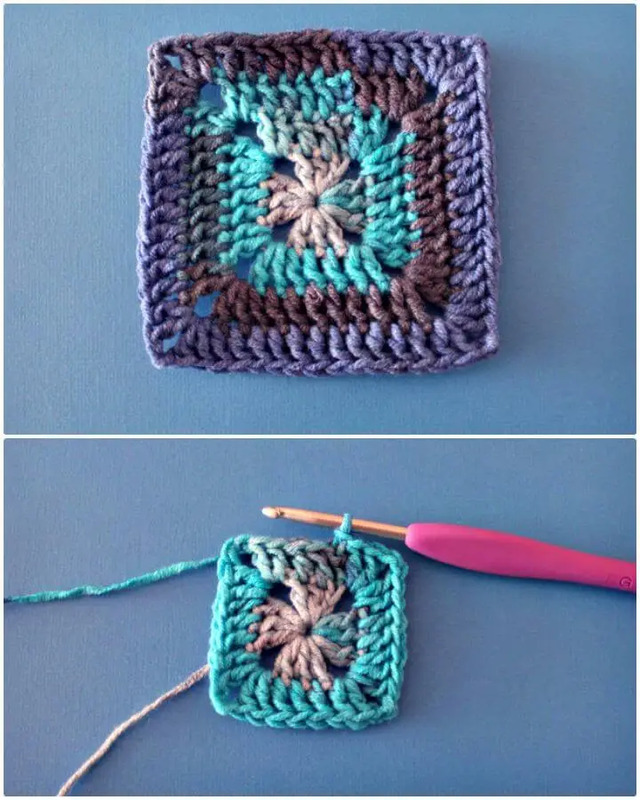 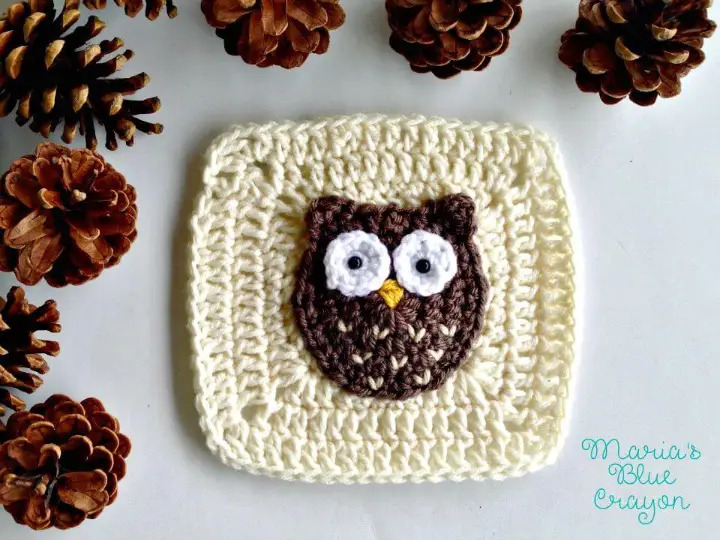 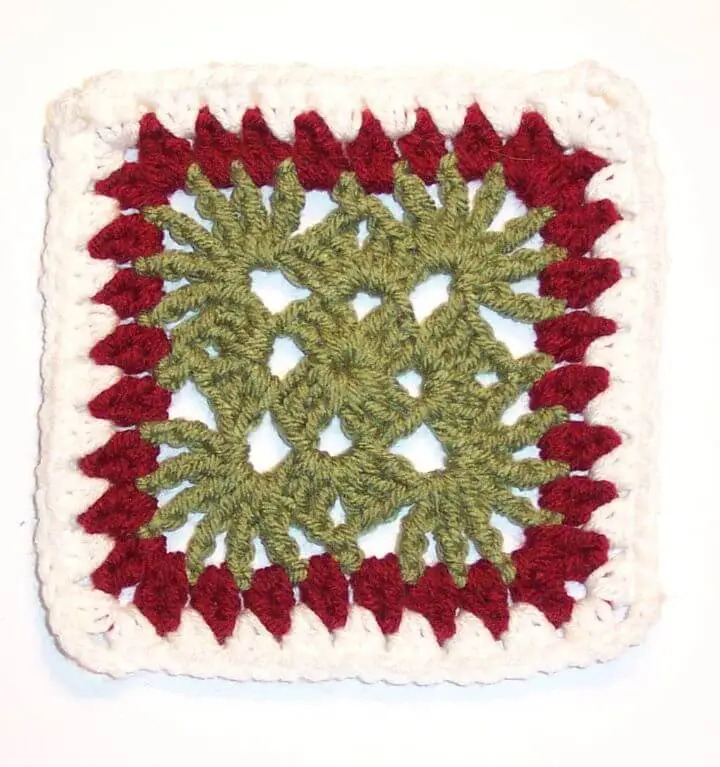 A granny square is always a square motif that may come in any size, and it is gained by starting crocheting in the round then to finish it off with a square boundary line or to trim! 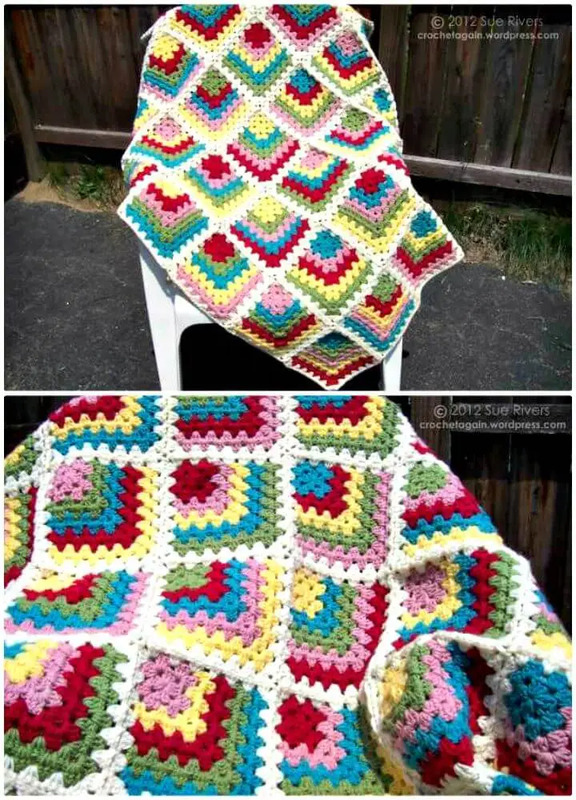 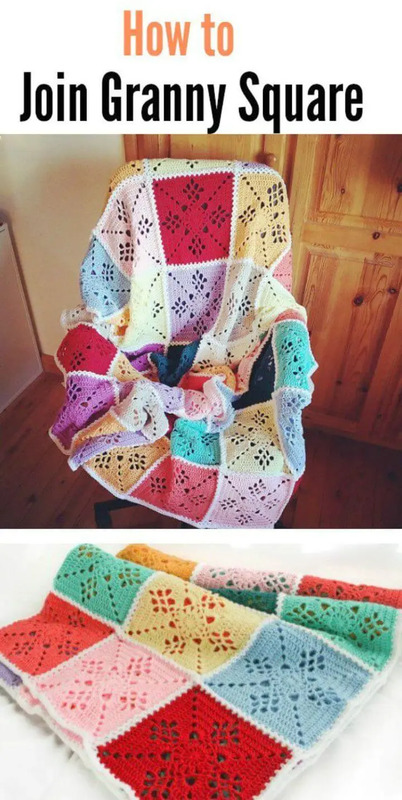 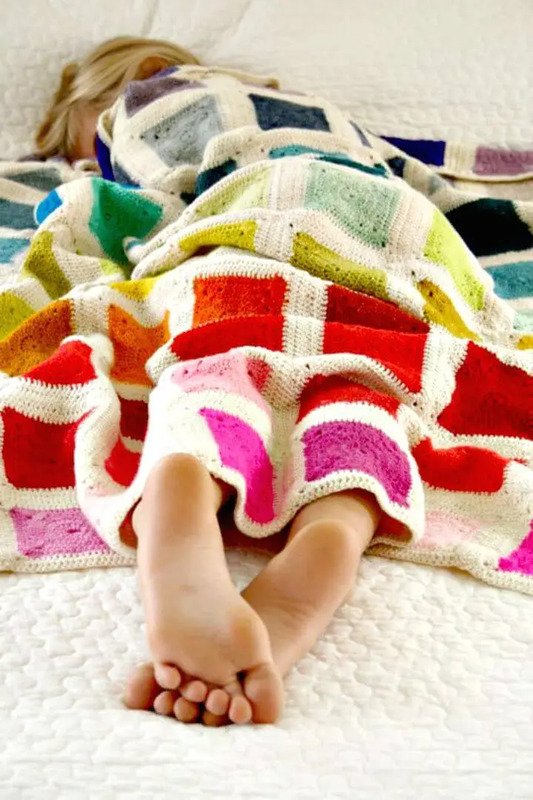 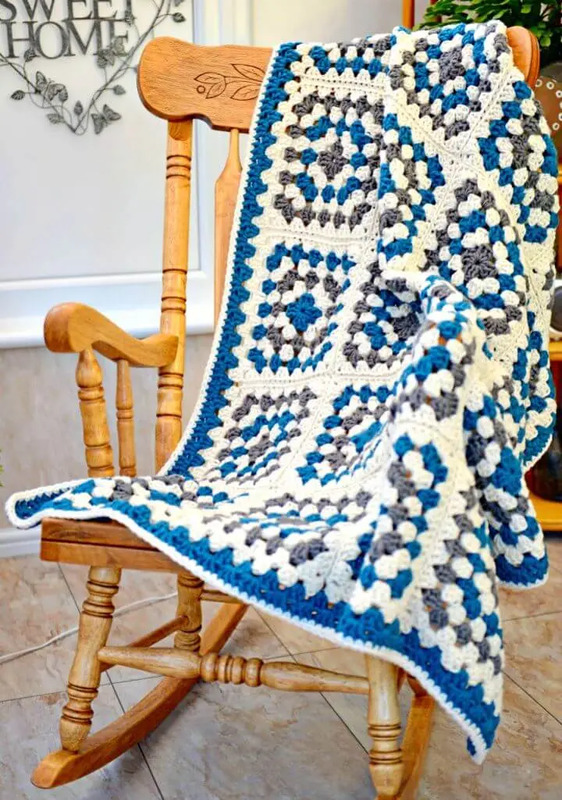 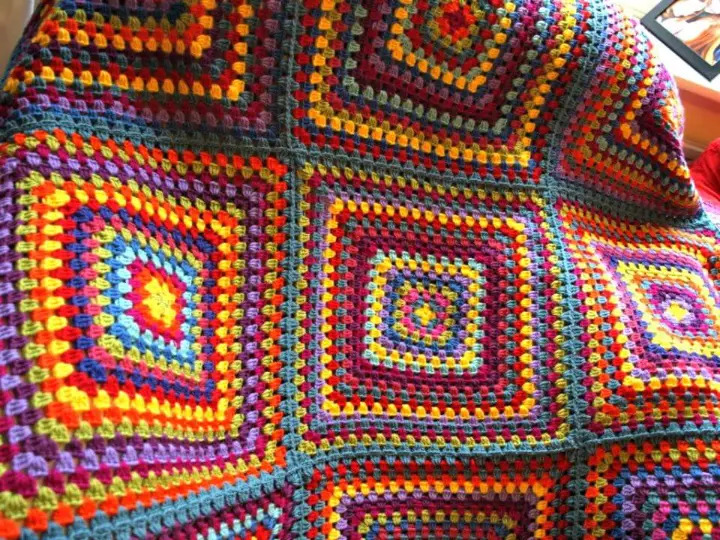 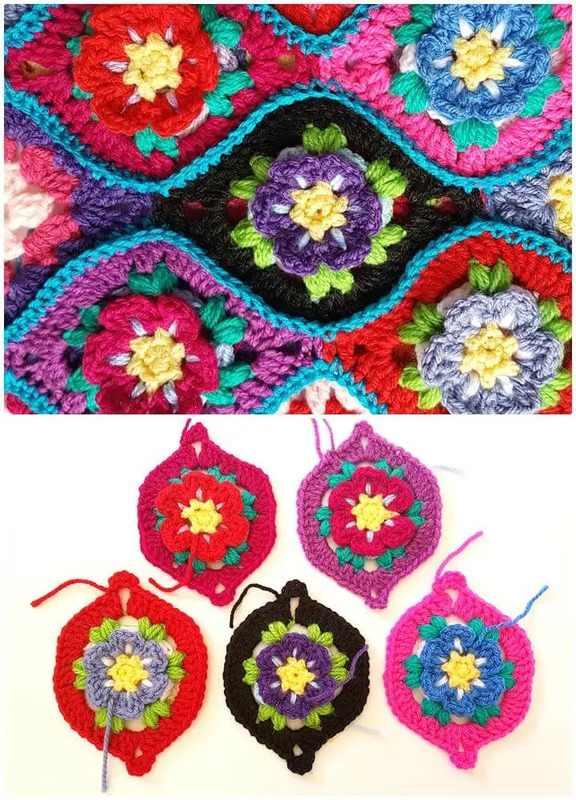 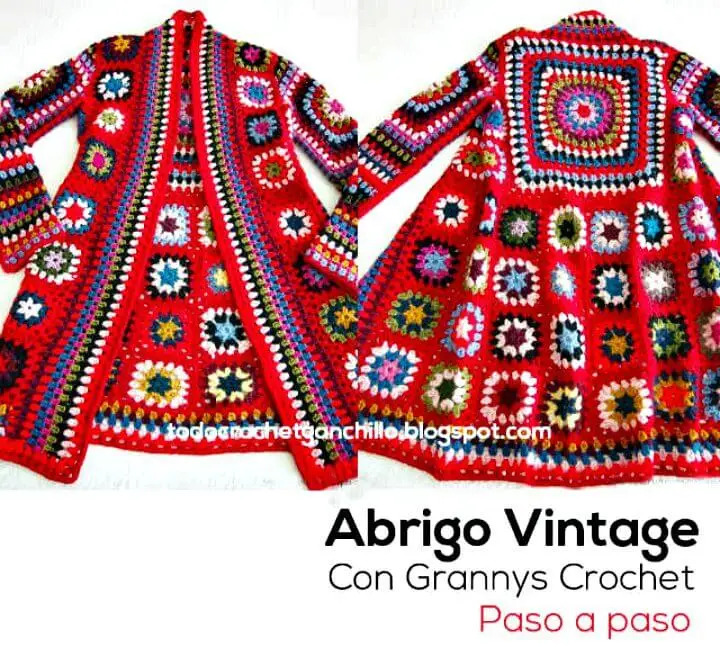 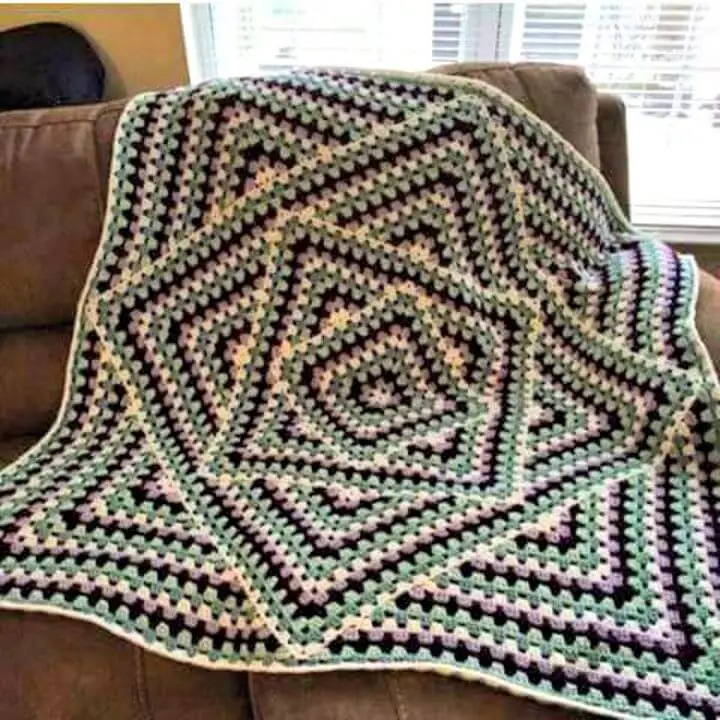 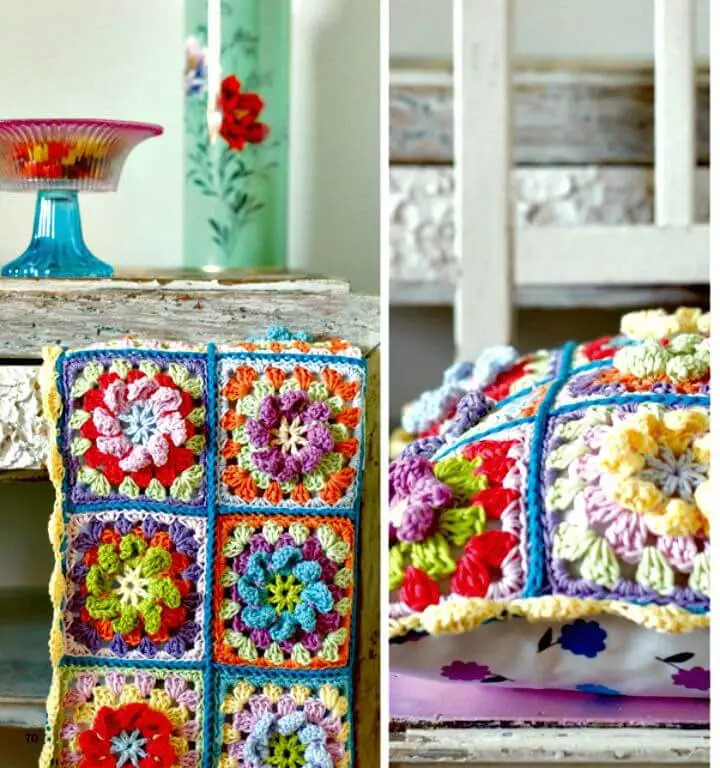 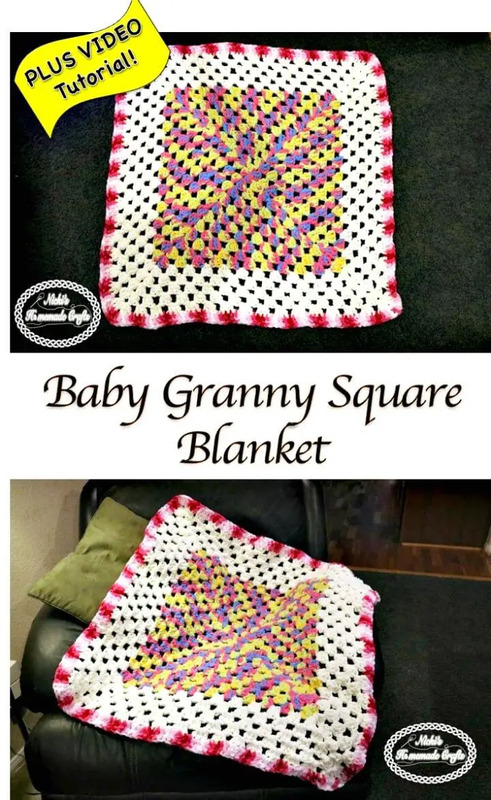 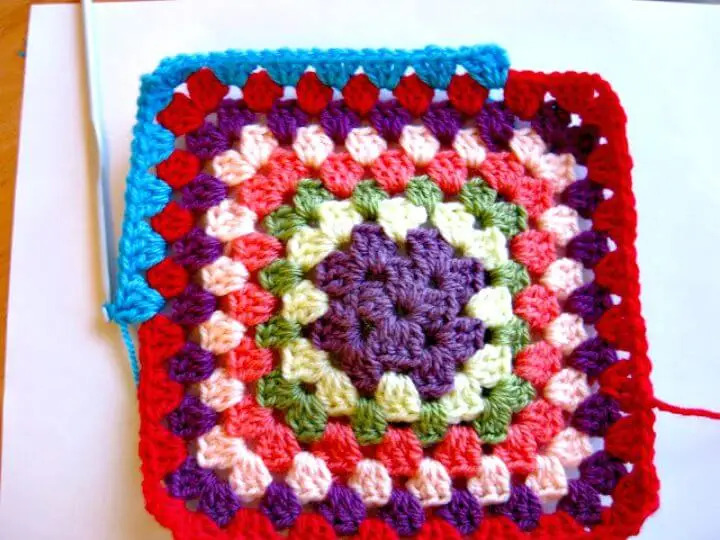 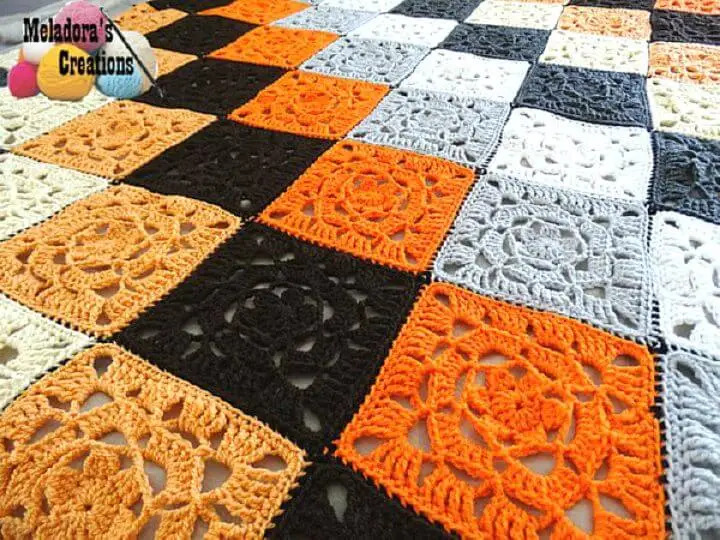 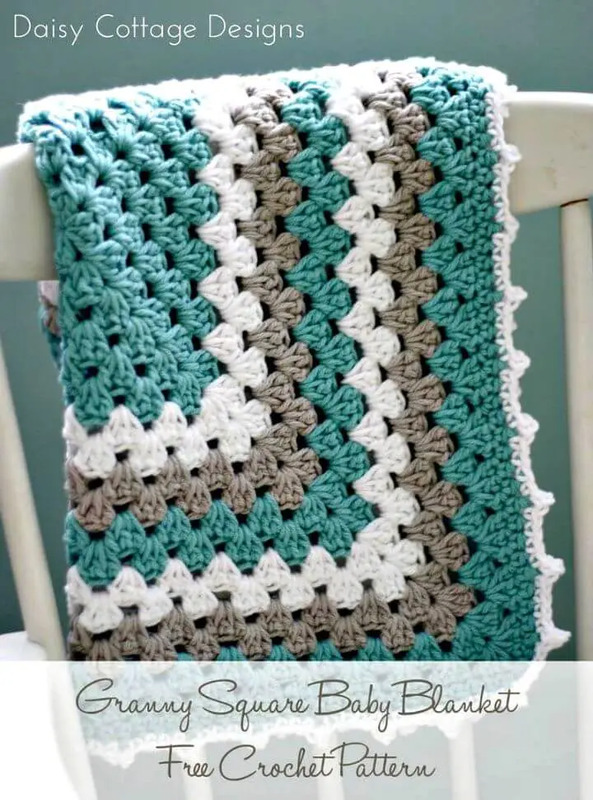 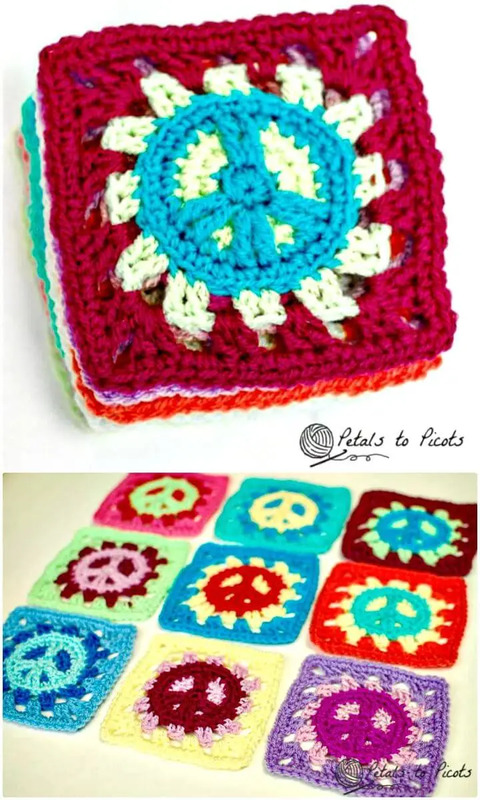 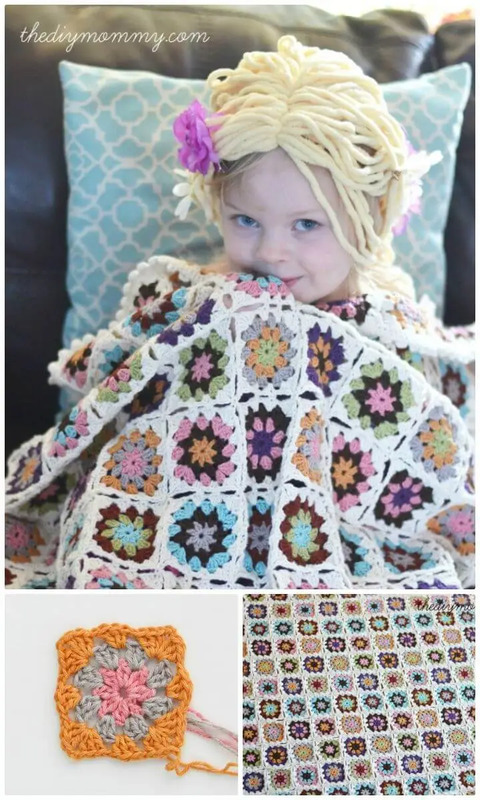 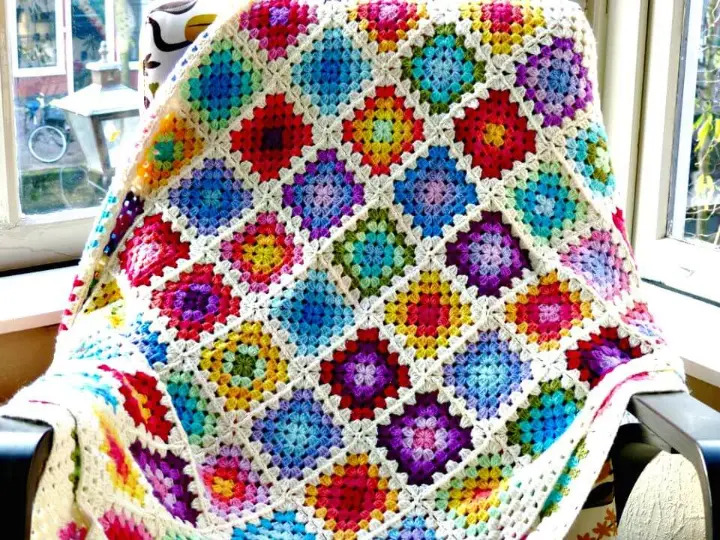 What is impressive in the granny squares is that they can be combined to make excellent crochet stuff like the blankets, throws, afghans, and placemats! 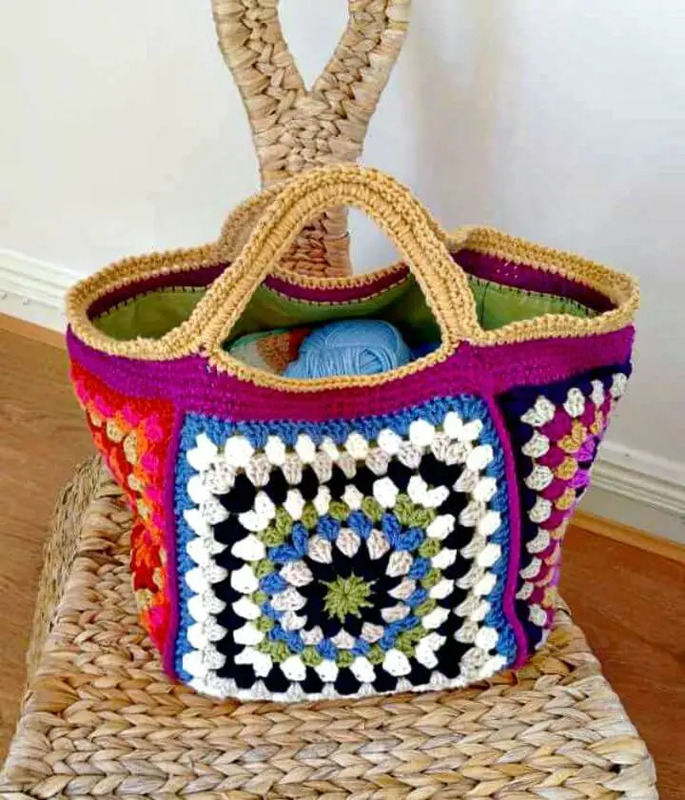 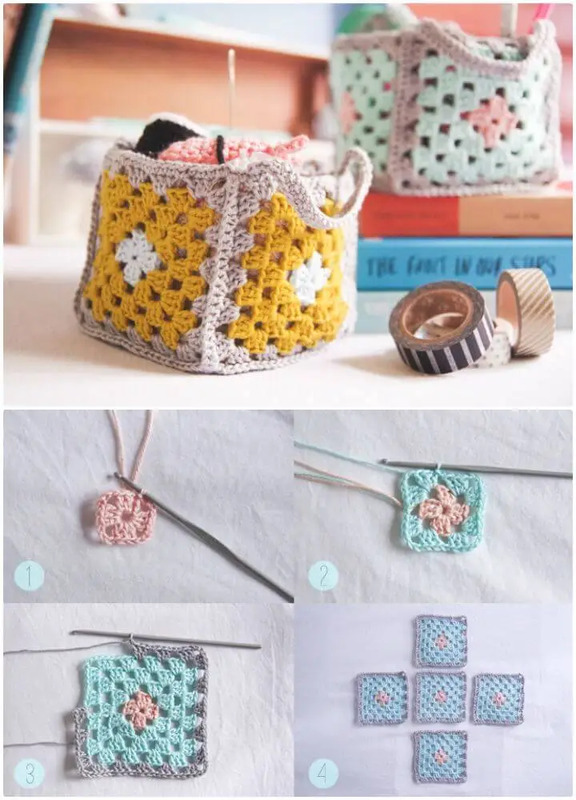 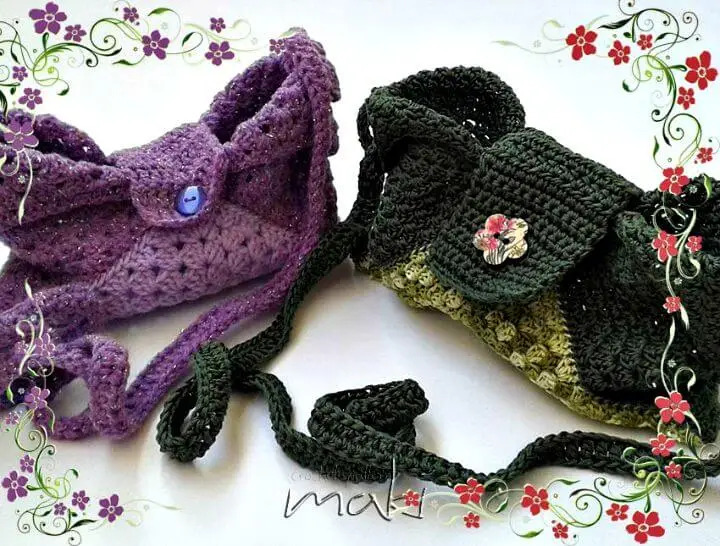 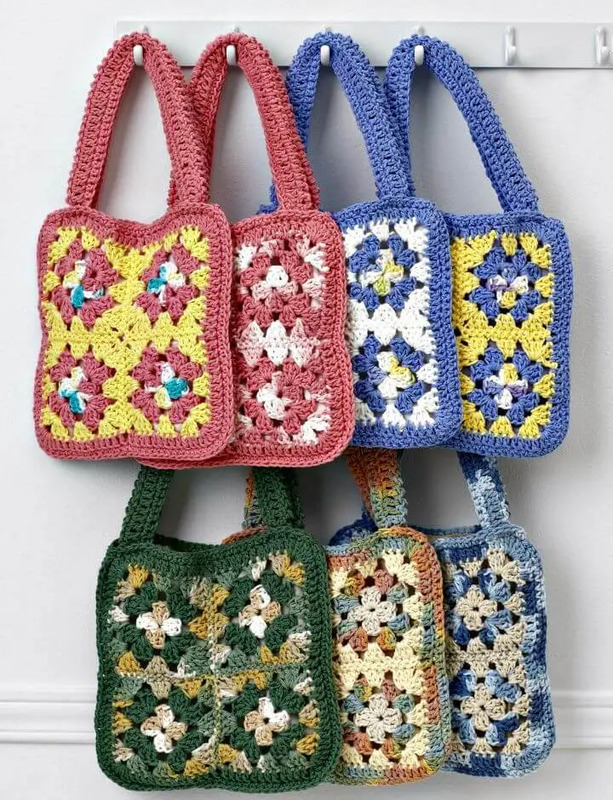 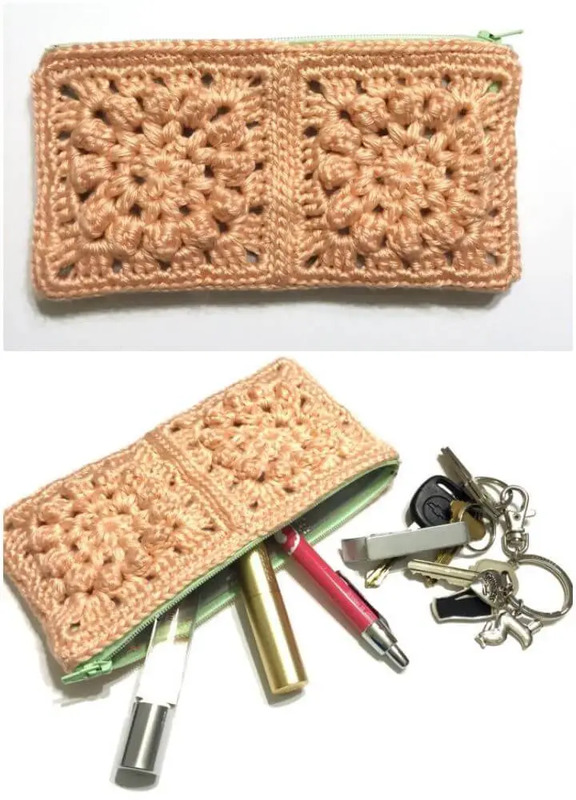 But now the creative crocheters are also fitting the granny squares together to create lovely homeware and accessories also like the handbags, tote bags, and beautiful looking table runners! 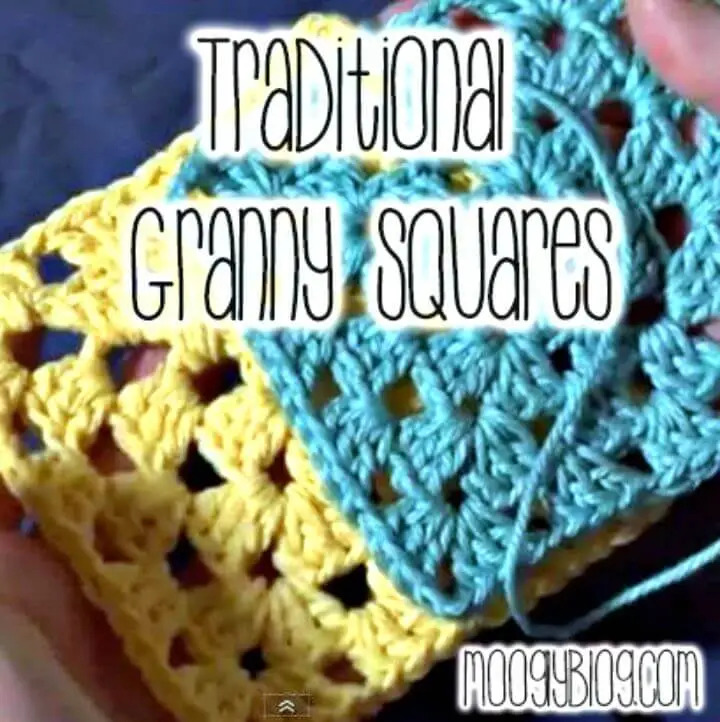 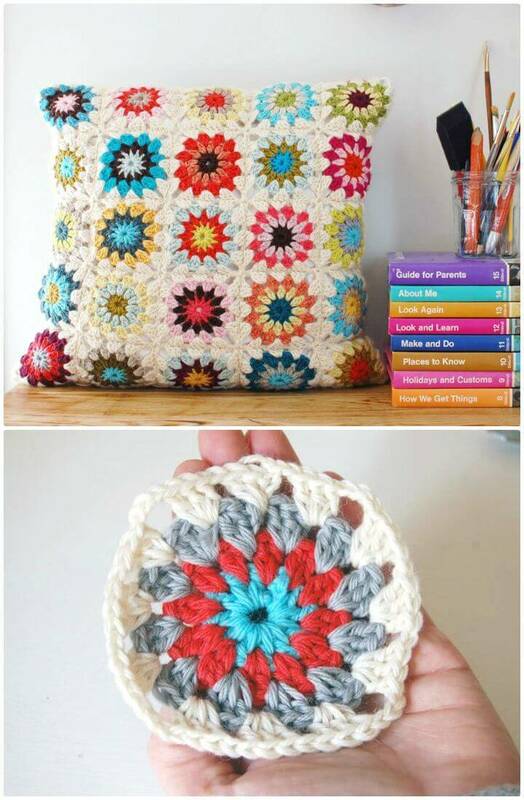 You can put together the granny squares in countless different ways getting amazing crocheted stuff each time! 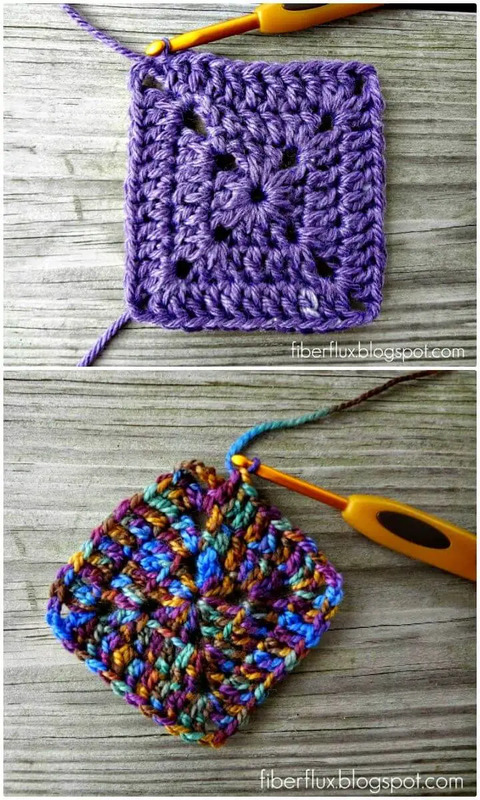 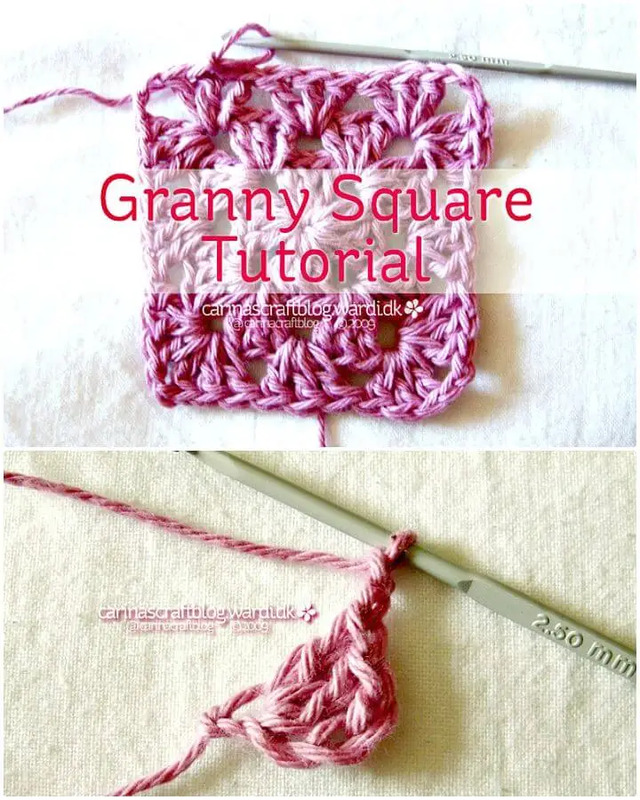 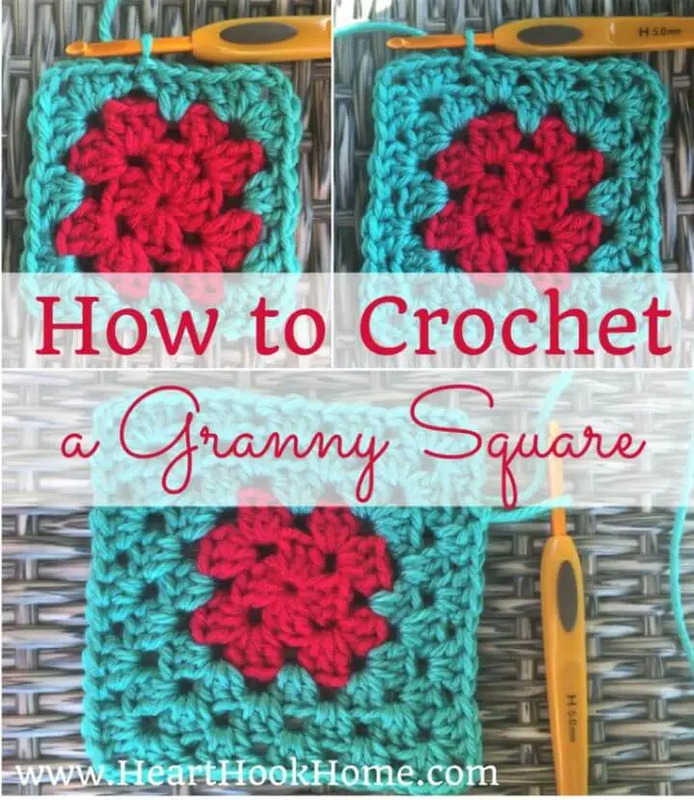 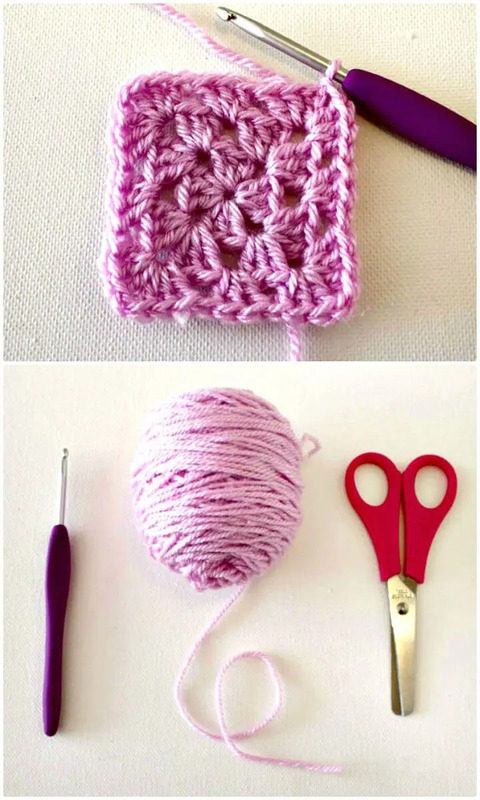 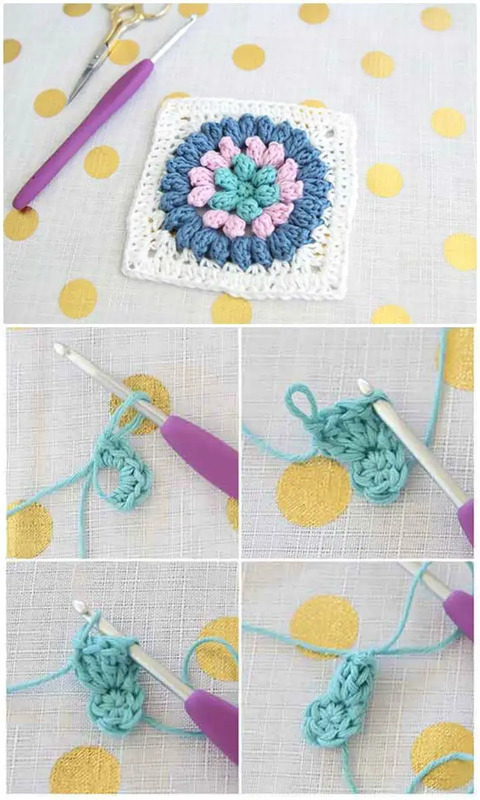 Before trying out some fantastic crochet pattern based on the granny squares, you should learn how to crochet a granny square! 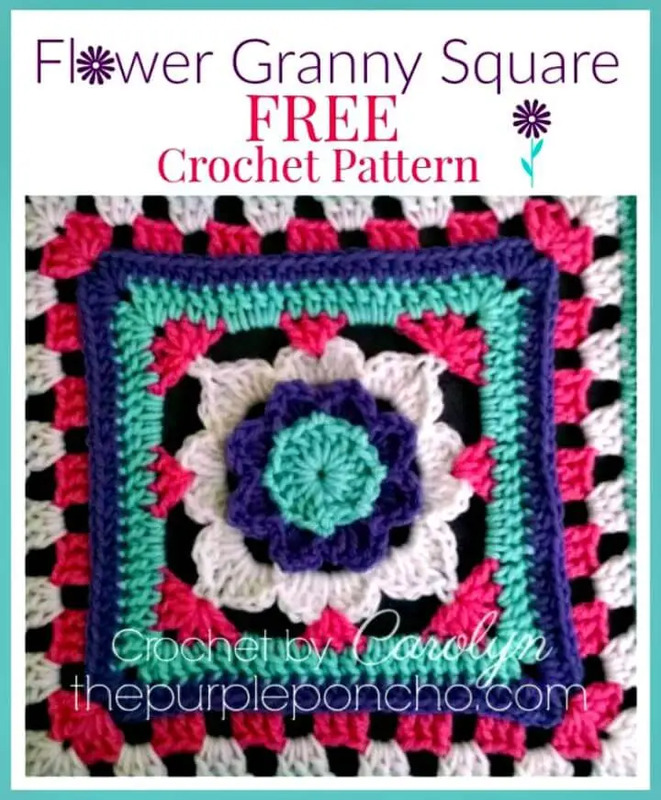 So, If you are willing to crochet some amazingly beautiful granny squares at home, then we have found the free crochet patterns for you! 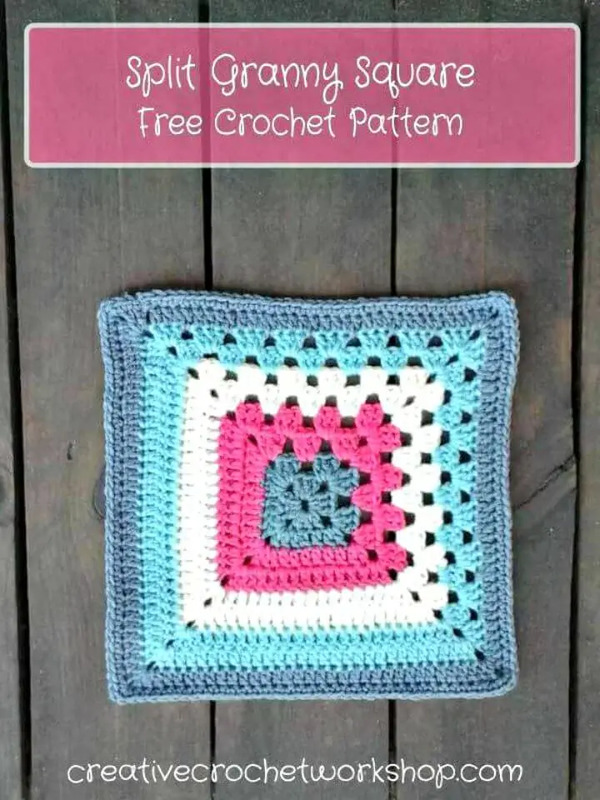 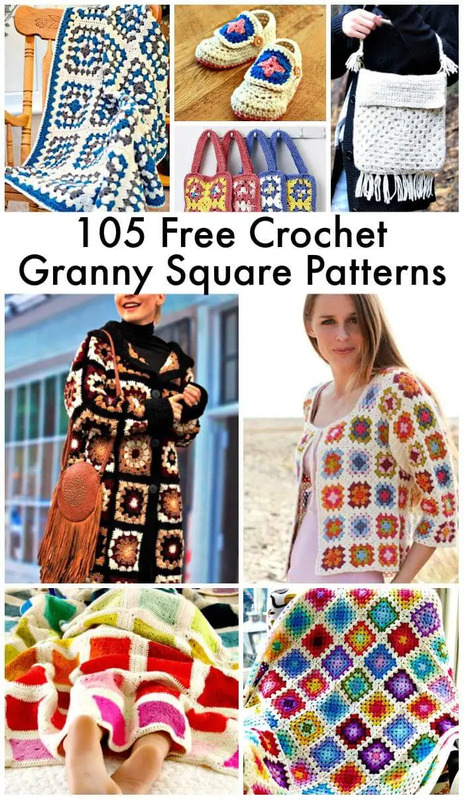 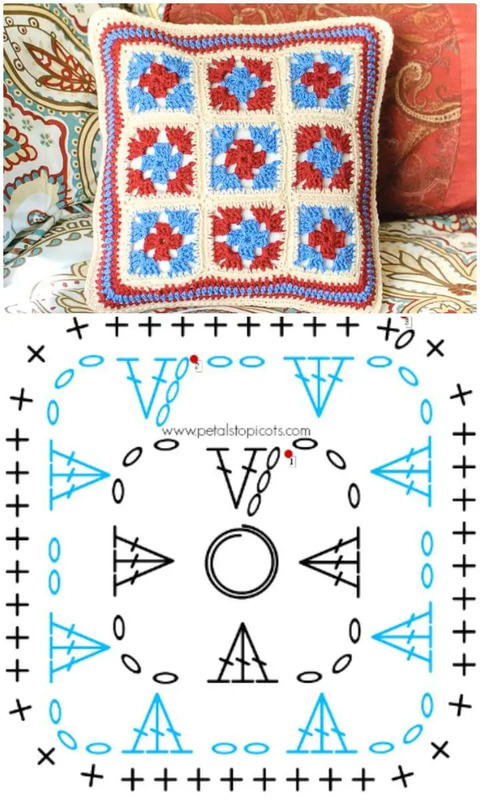 Just check out these 105 free Granny Square Patterns that will make you learn to crochet each new and traditional design of a granny square in any size! 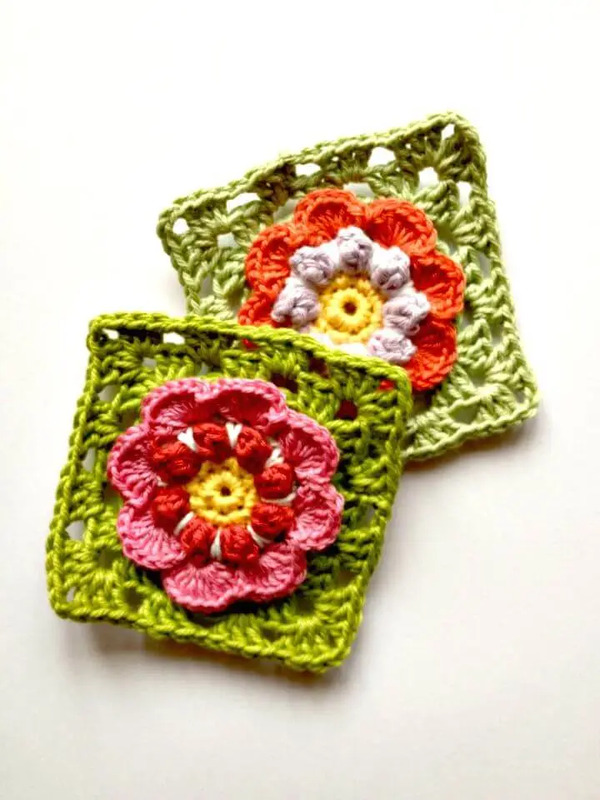 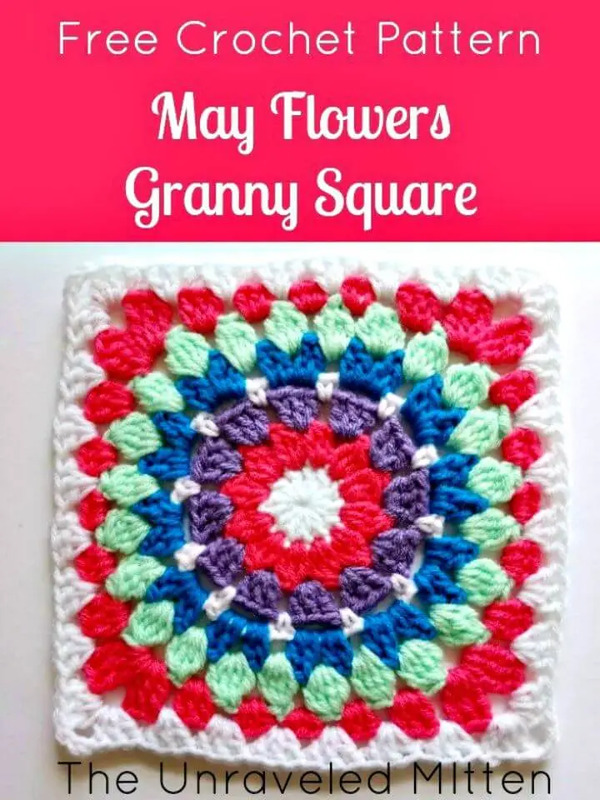 Here you will also see dozens of the granny square that will inspire you with their amazing color combinations, and you will also find here a massive list of the floral granny squares! 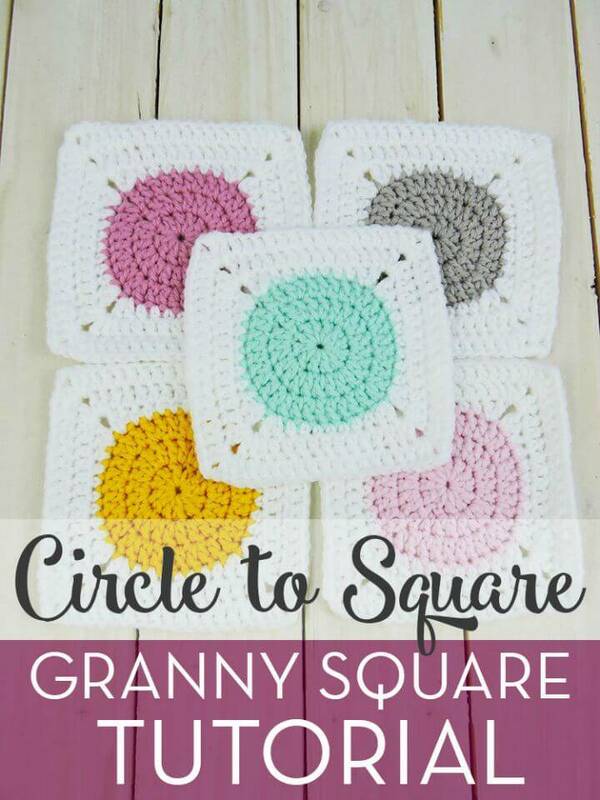 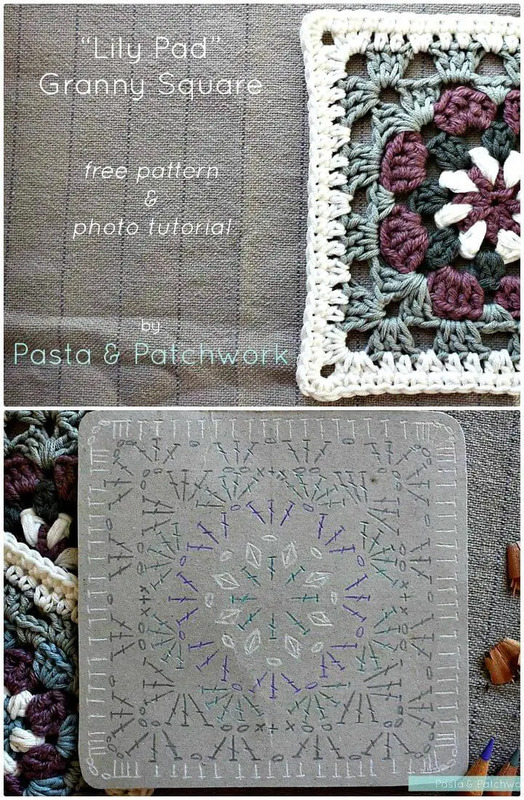 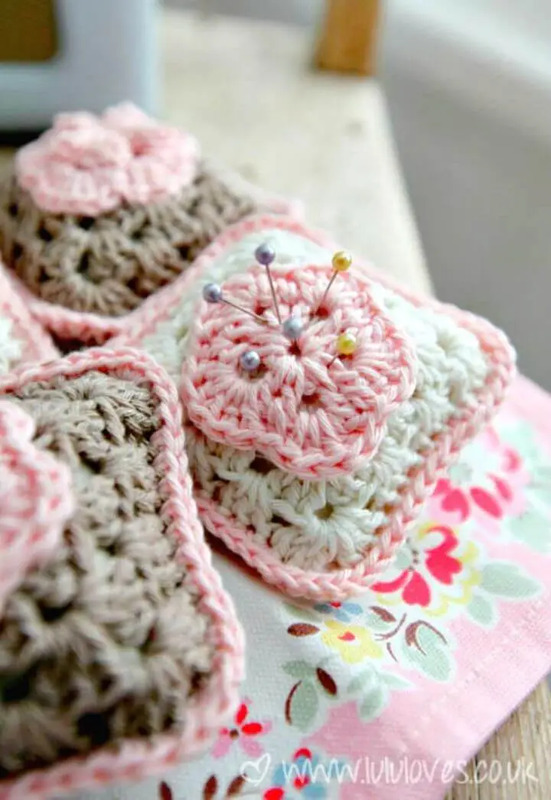 Moreover, you will get great ideas here to crochet the round granny square, and you will also be provided here with tons of unique tricks to crochet always lovely striped granny squares! 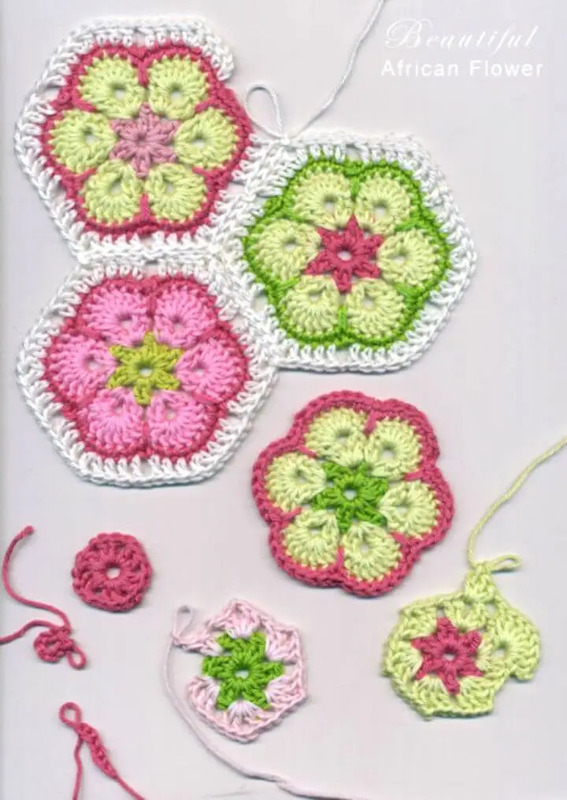 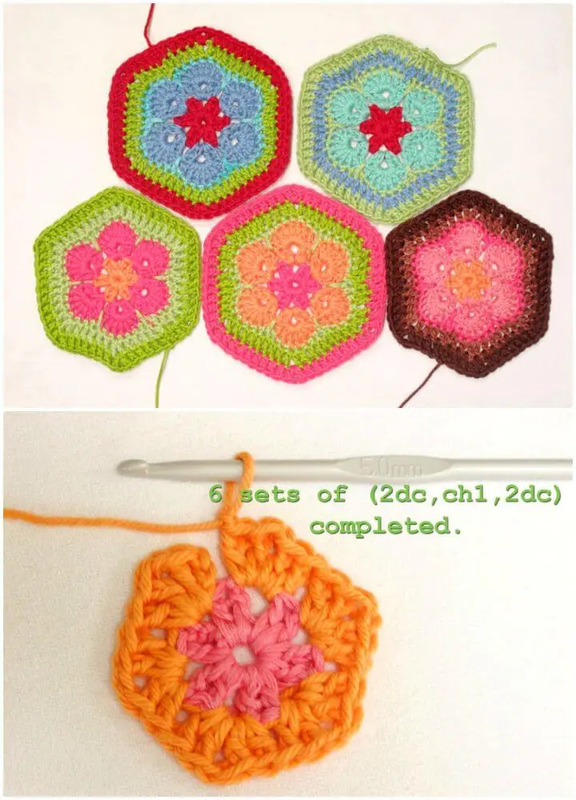 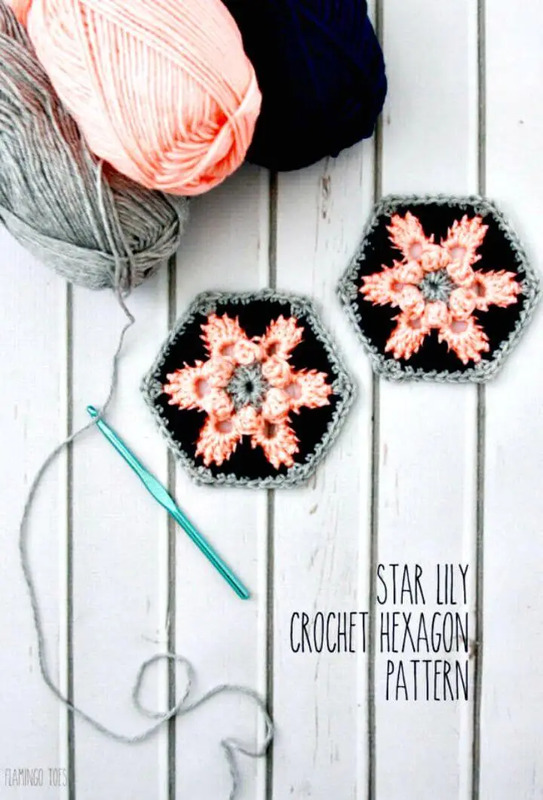 Furthermore, you will get the tutorials here to crochet the enticing hexagonal crochet granny squares that are the 2nd most famous and popular type of crochet granny squares! 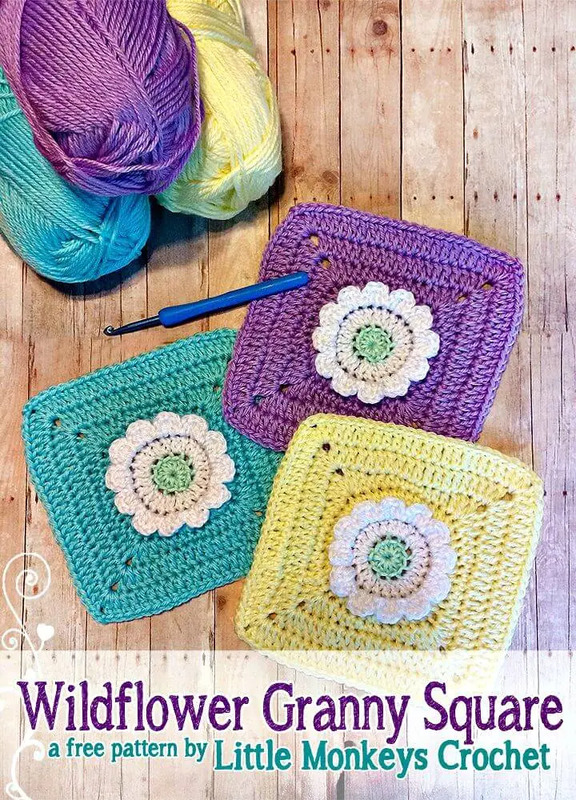 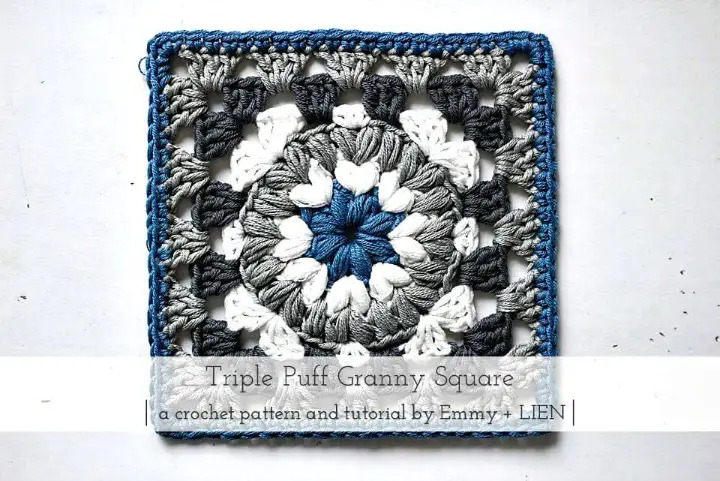 These granny squares are the perfect patterns for the beginners, and they will also rock for the master crocheters who want to practice some basic crochet stitches and patterns again! 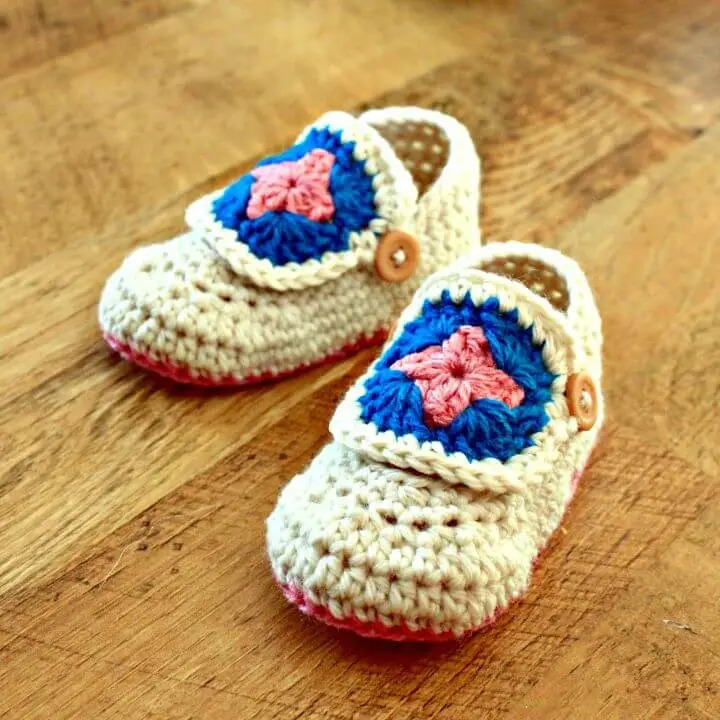 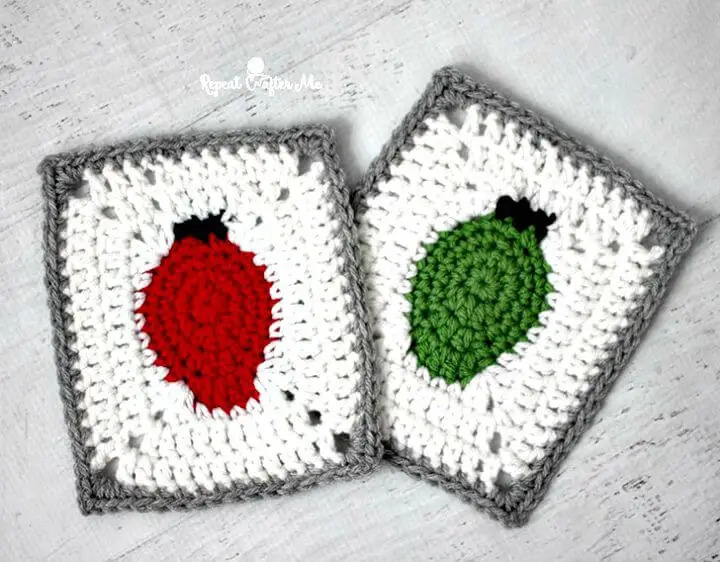 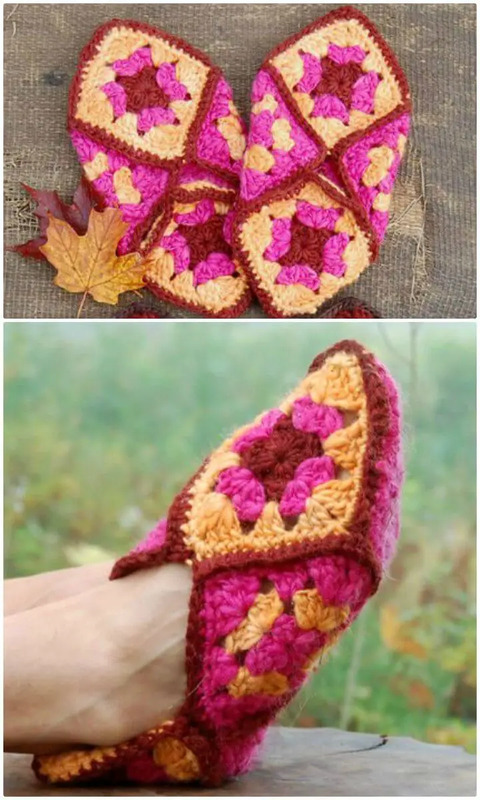 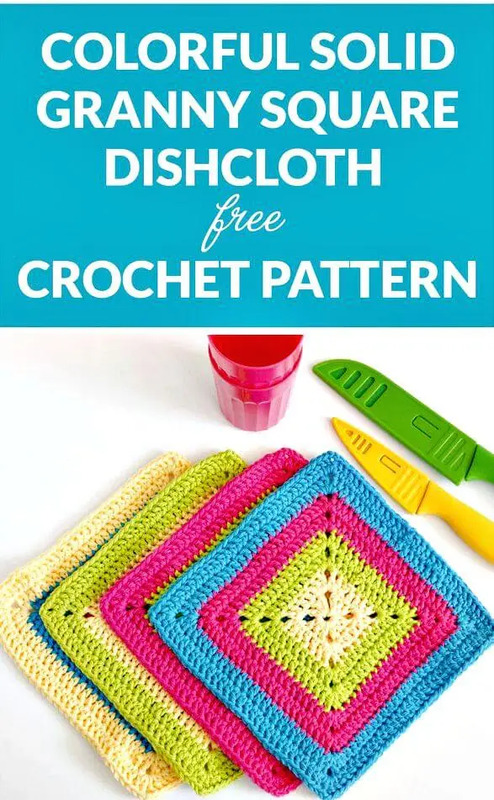 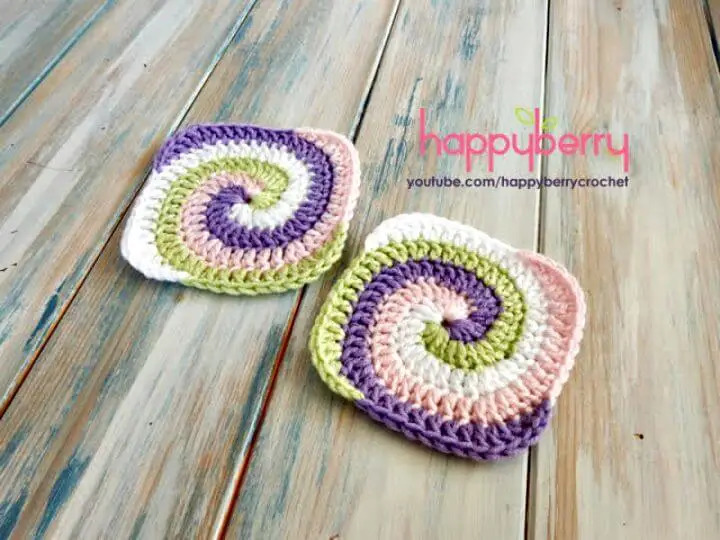 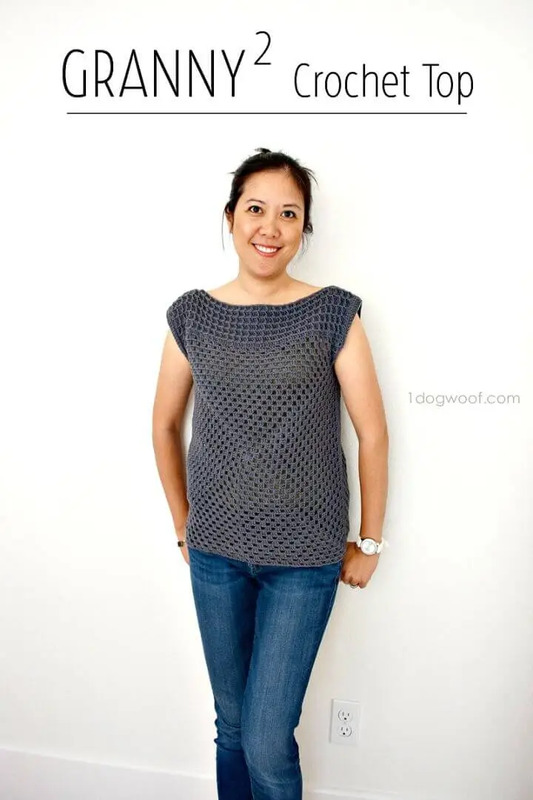 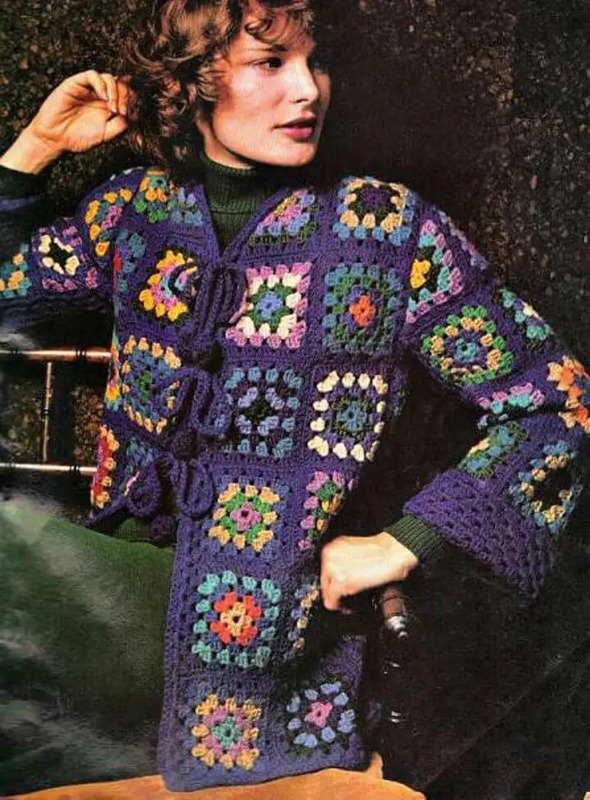 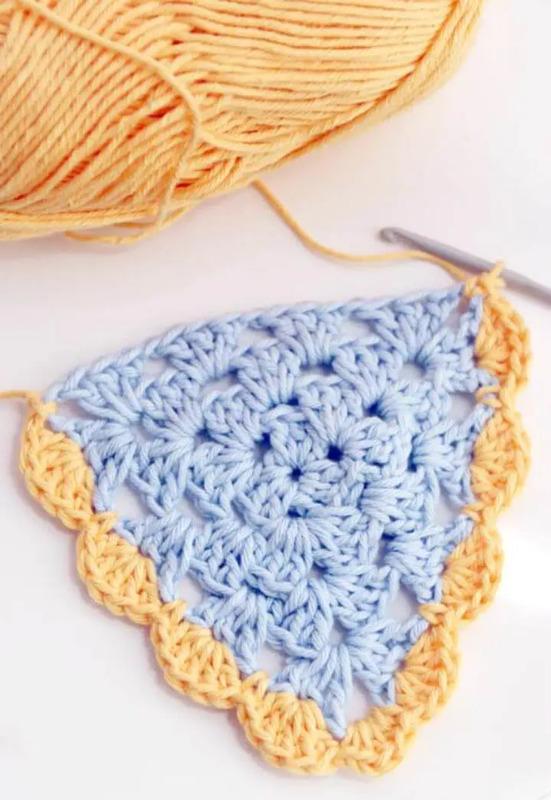 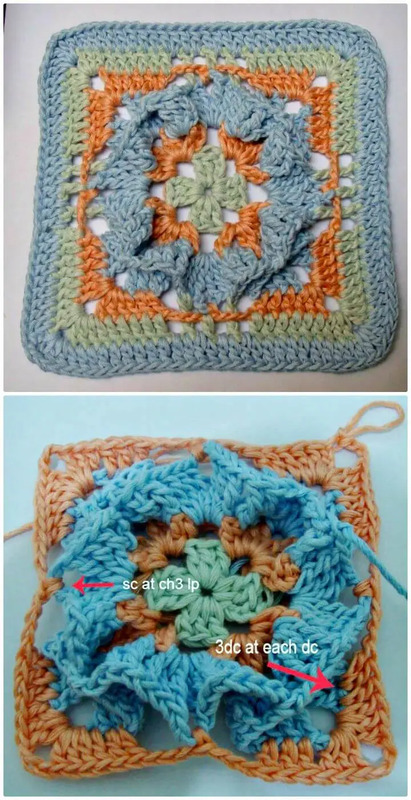 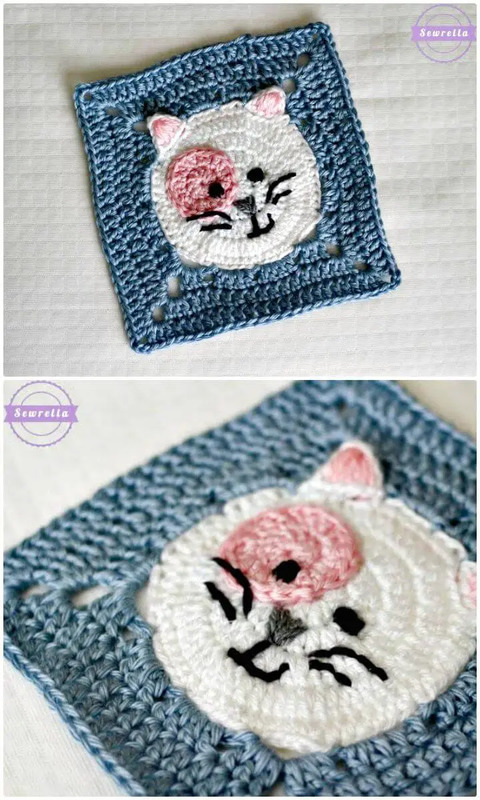 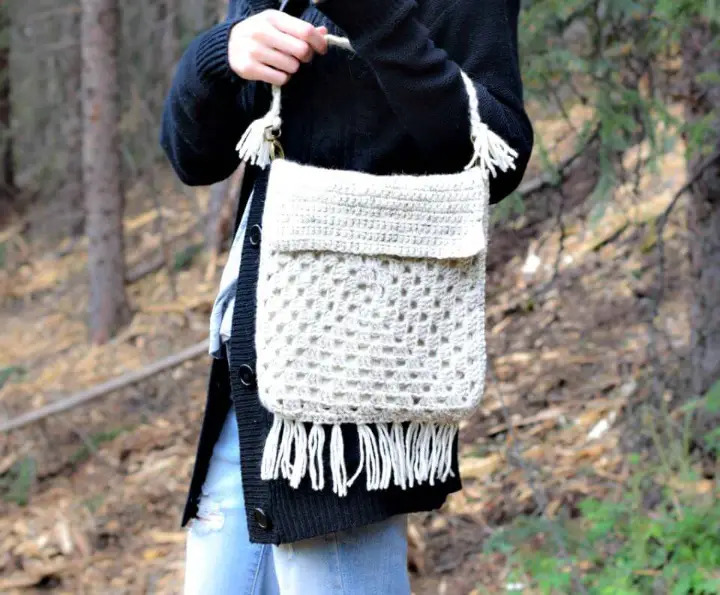 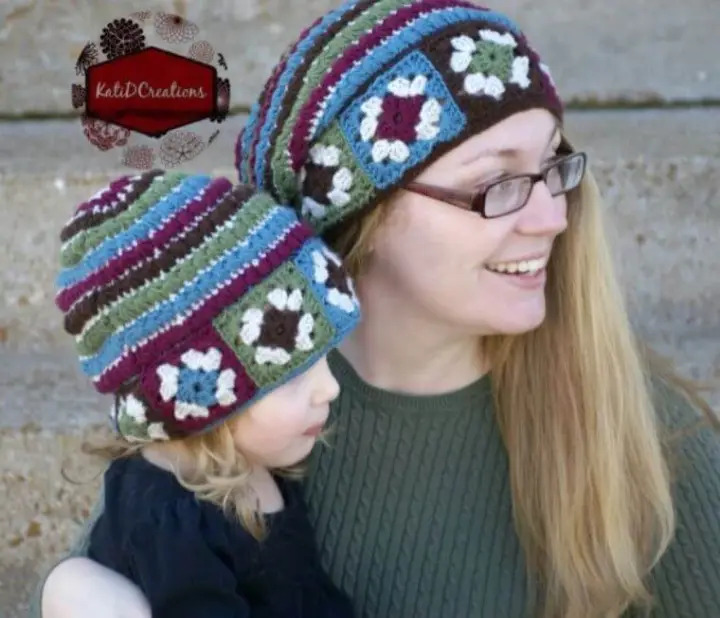 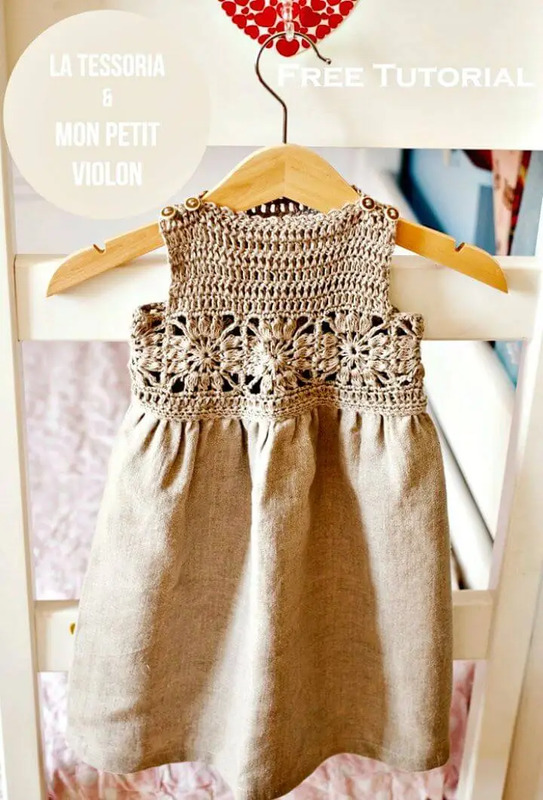 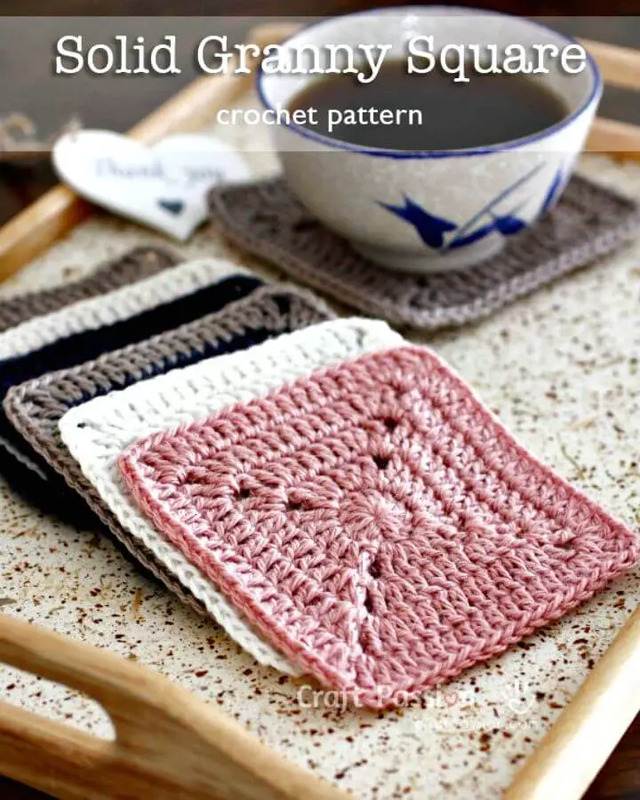 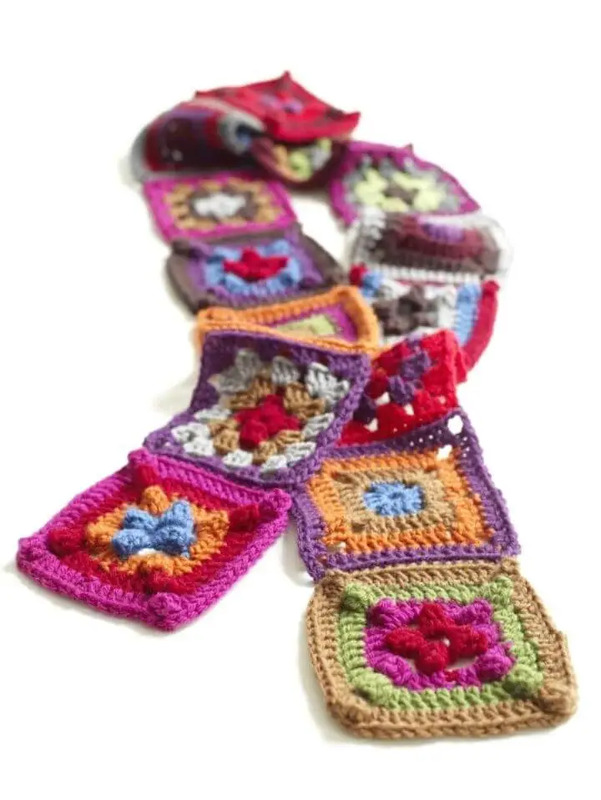 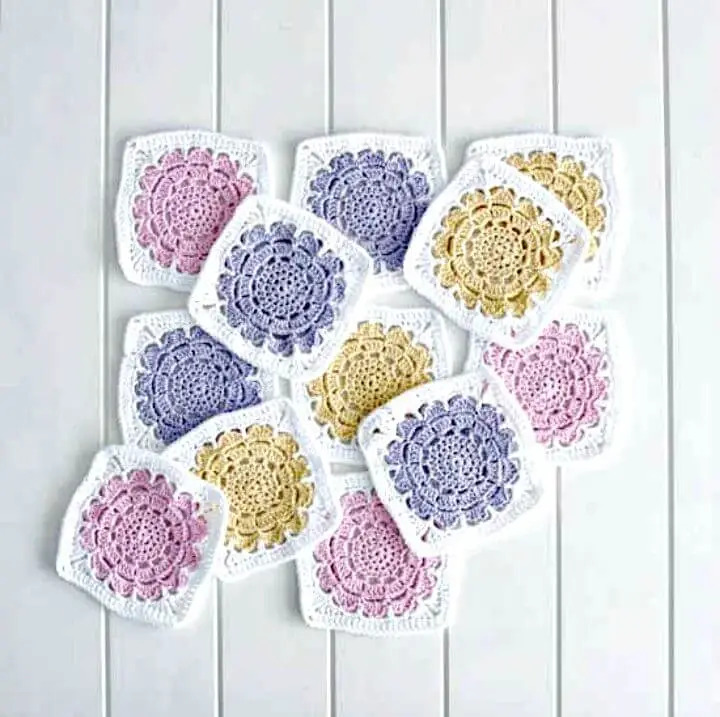 This not ends here, you will also be guides for the unlimited crochet projects that you can do with the granny squares that you will make with your own beautiful hands! 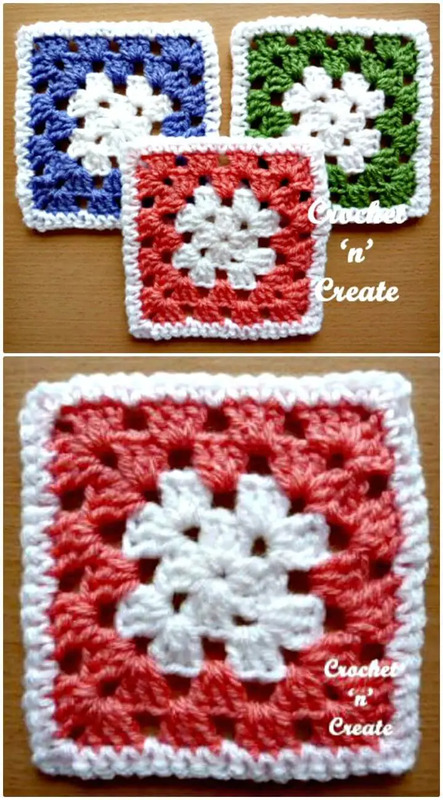 This just not ends here, if you are also looking for some quickest and easiest crochet projects to do at home then these granny squares would also make a great choice and they can also be put together in several different ways and in different configurations to make outstanding winter accessories, clothes and various items of need and interest! 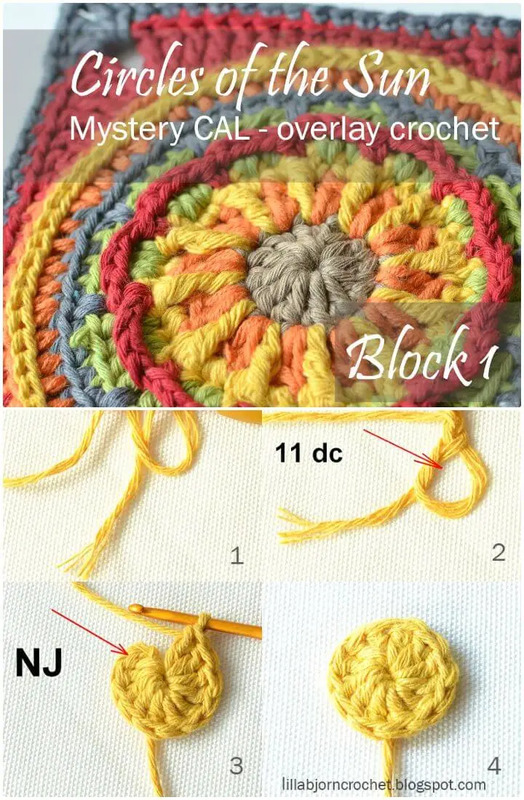 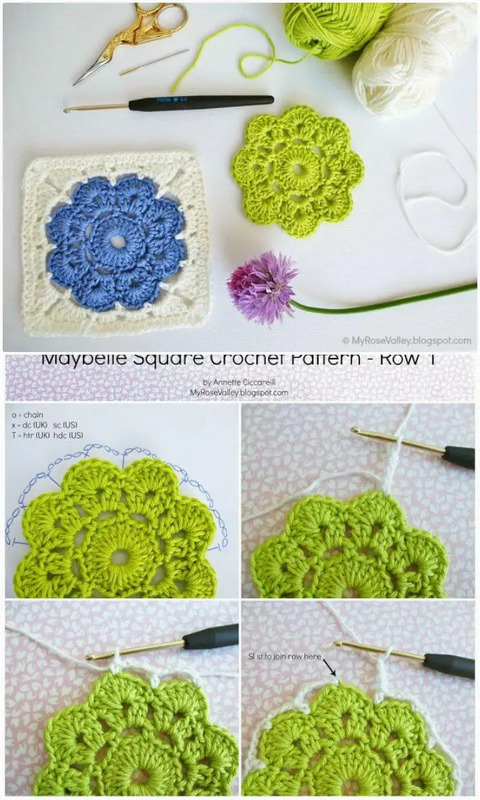 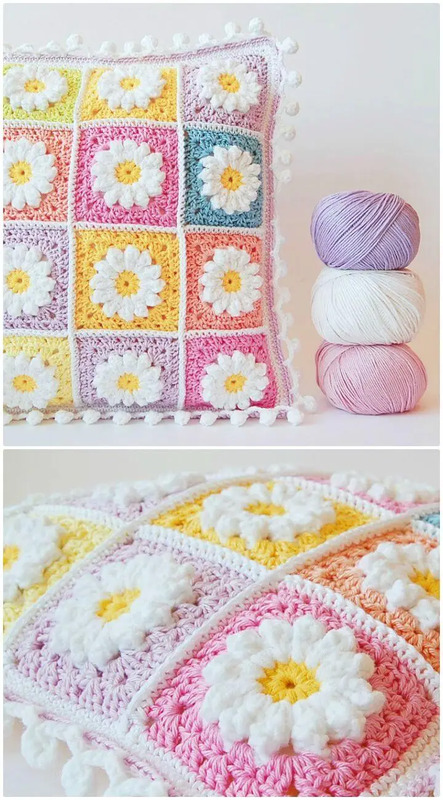 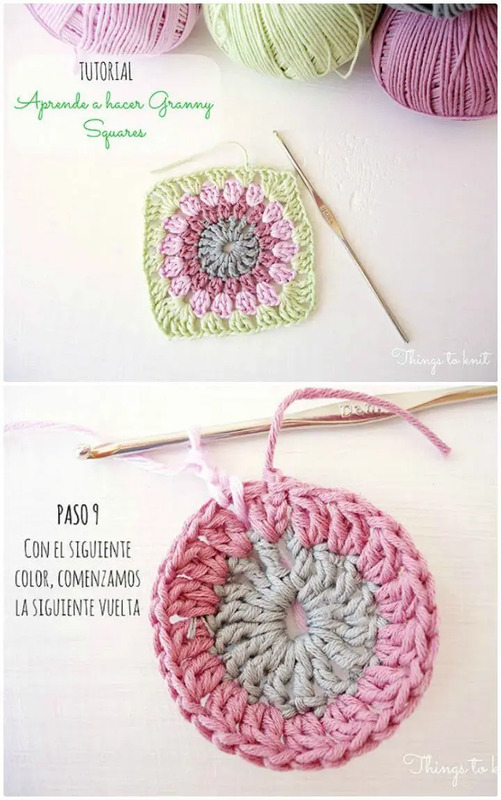 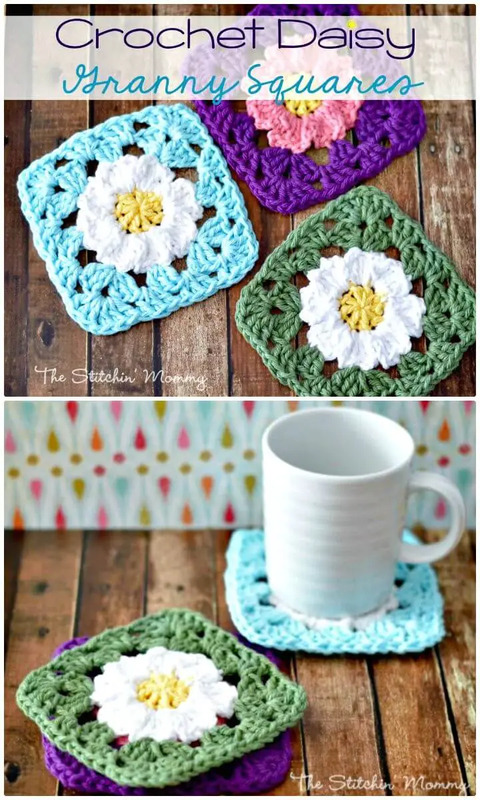 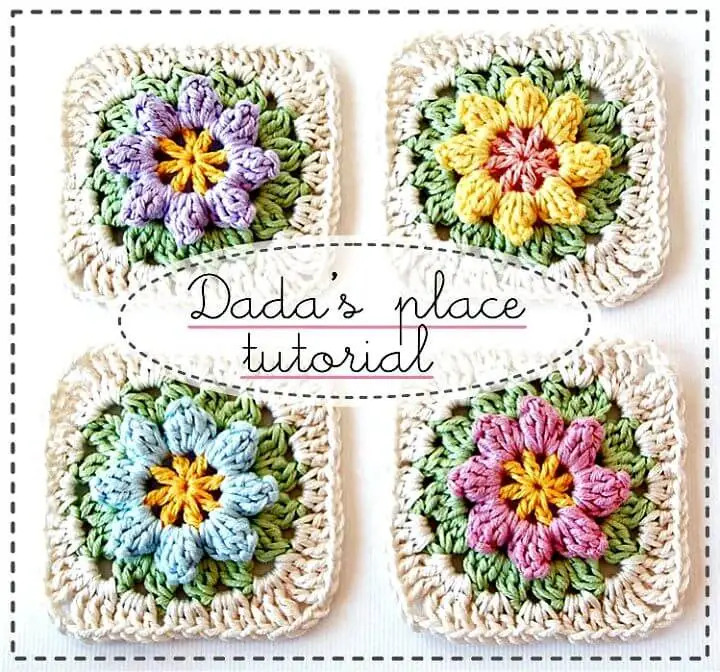 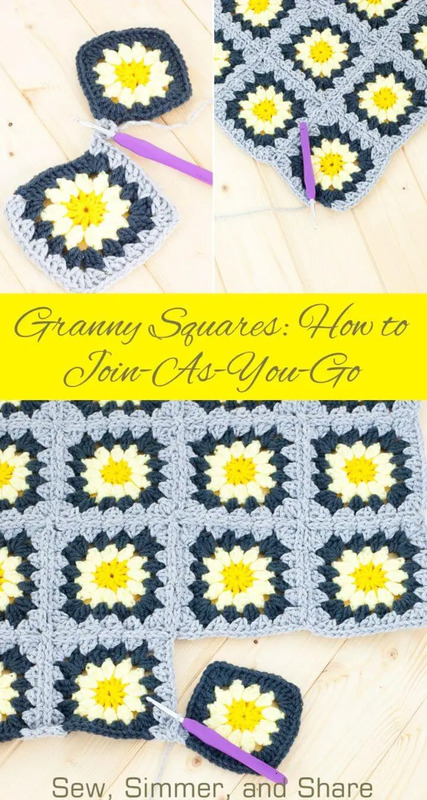 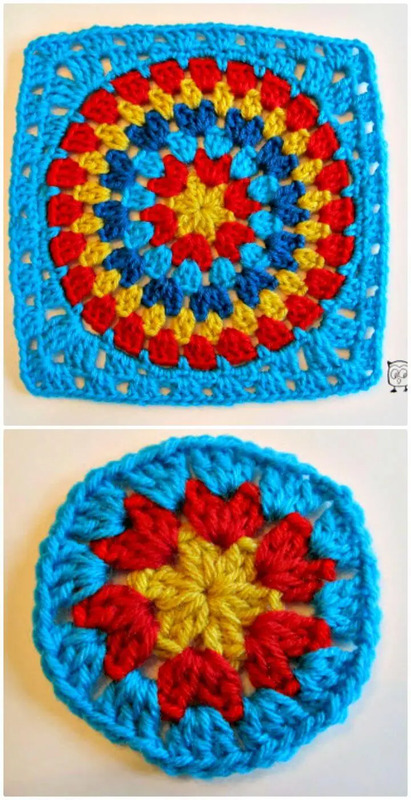 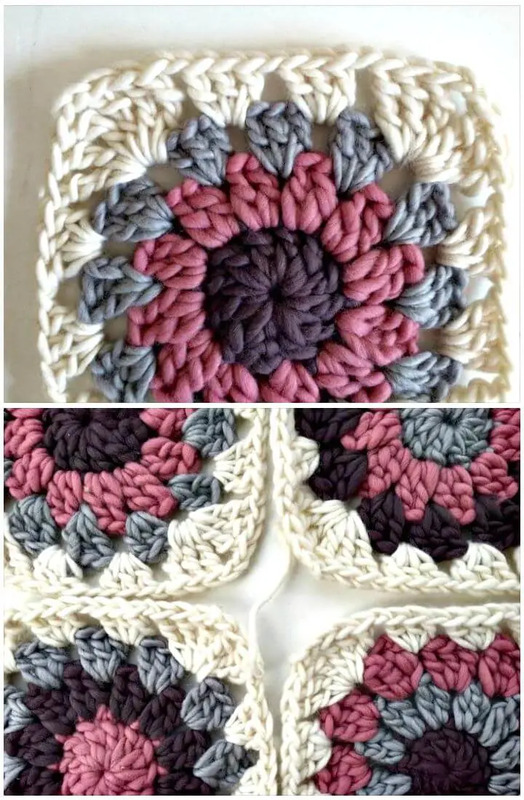 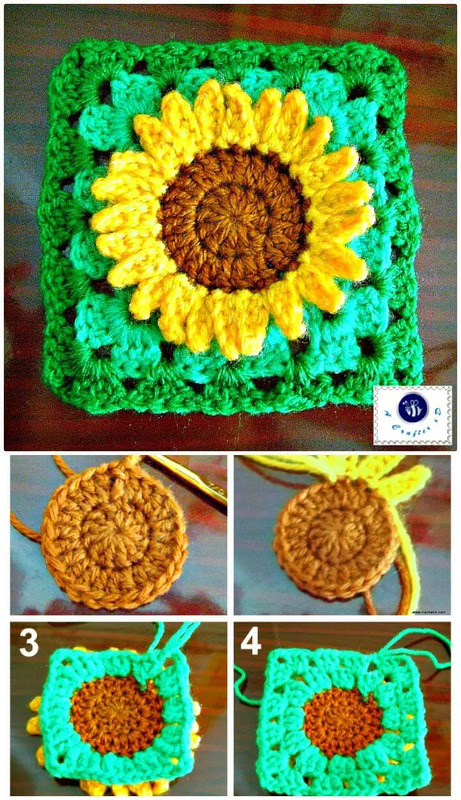 Learn crocheting the granny square in blooms and also do amazing projects with the sunflower granny squares that would be much beginner-friendly to crochet at home! 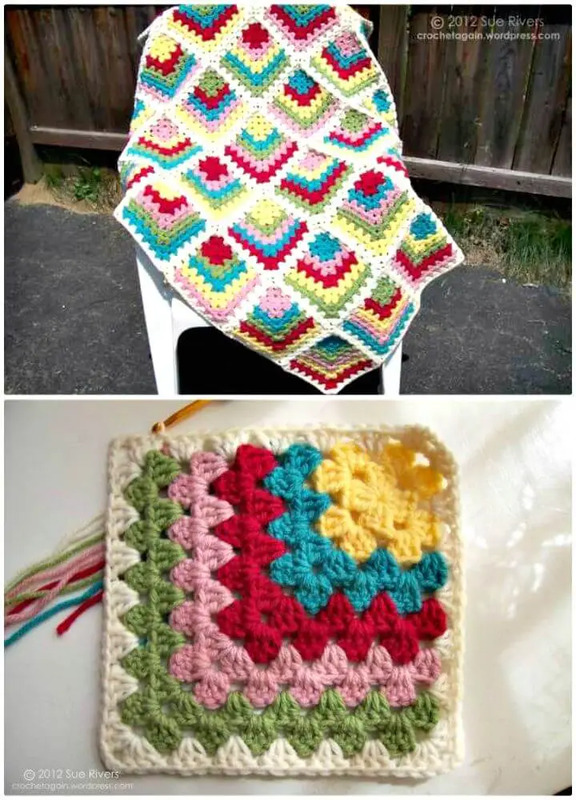 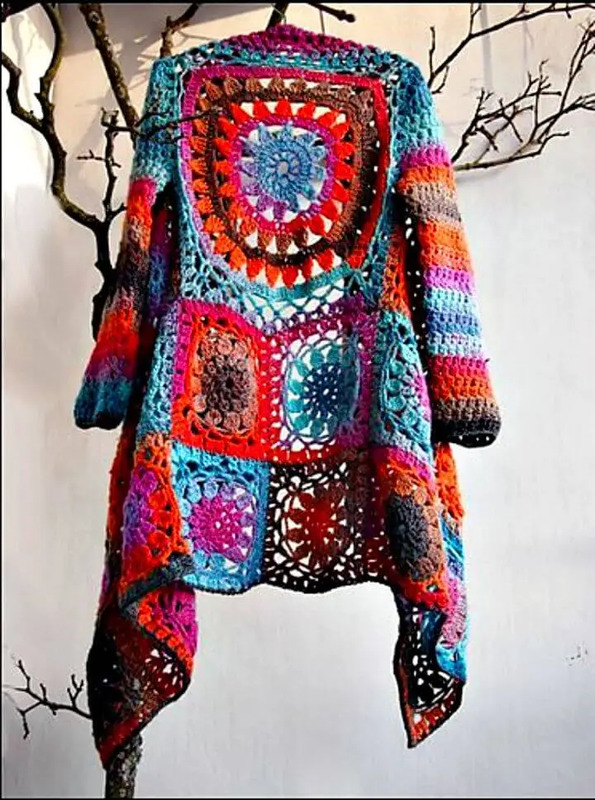 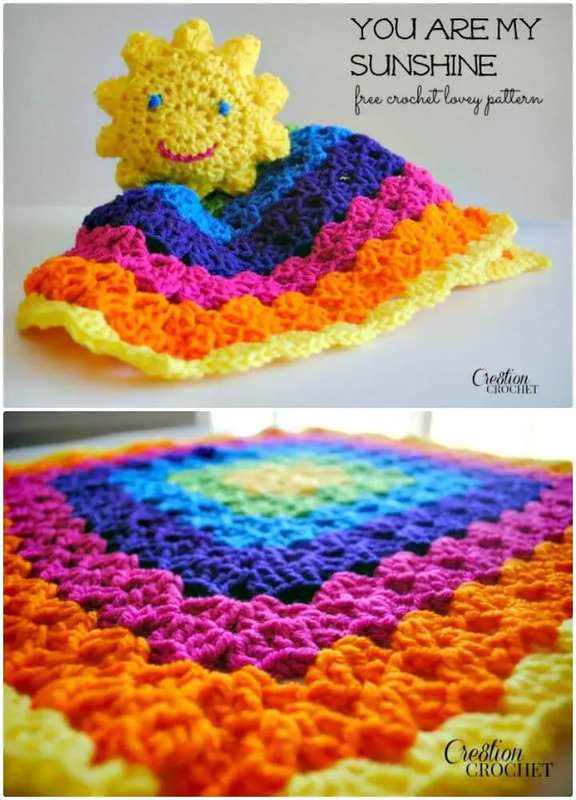 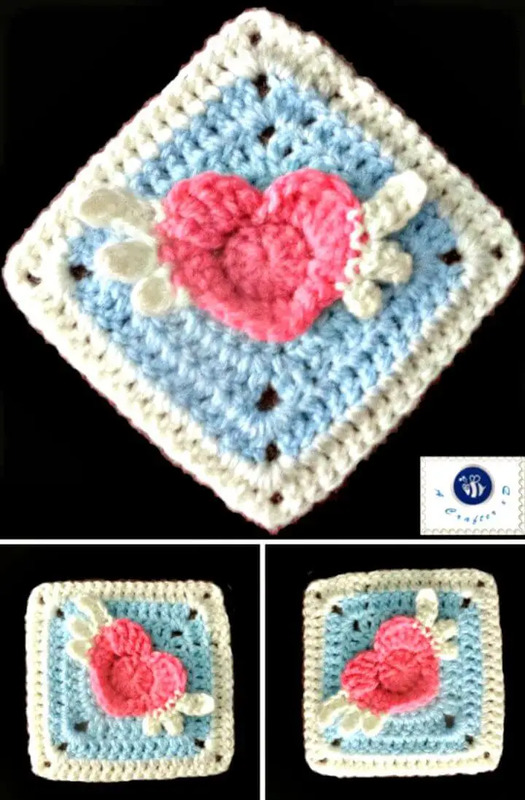 Crochet even the mitered granny squares and make lovely throws and blankets with them and do some fantastic love themed crochet projects with the angel heart granny squares that would be a big breeze to crochet also! 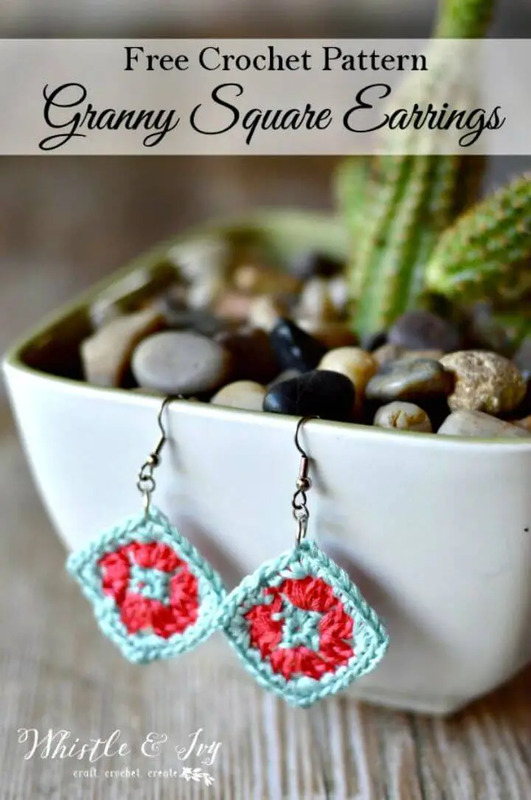 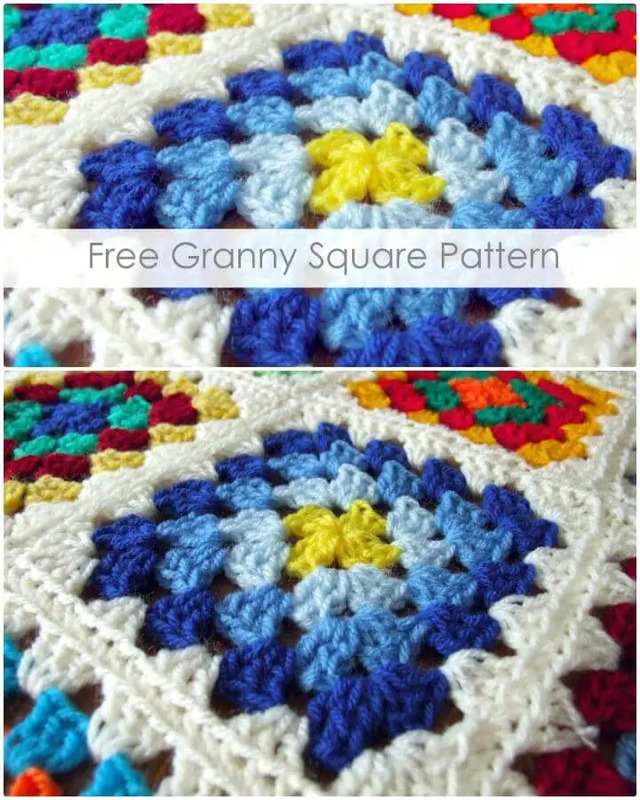 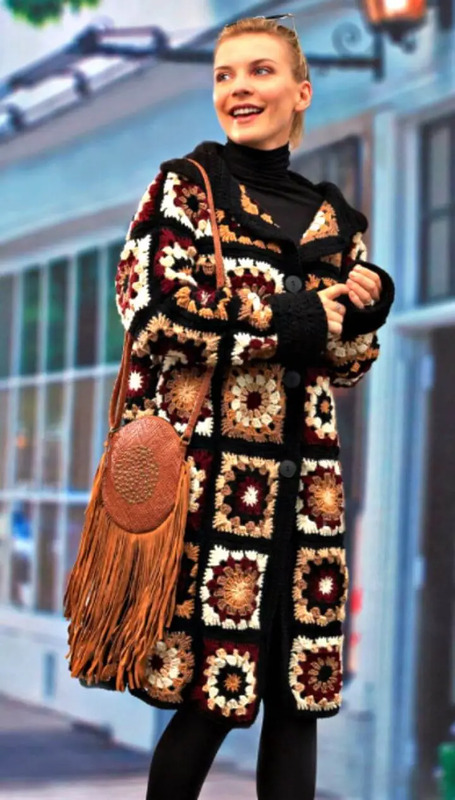 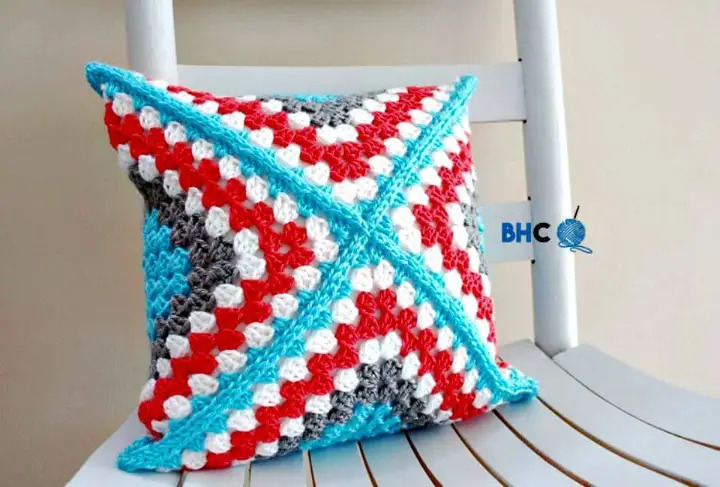 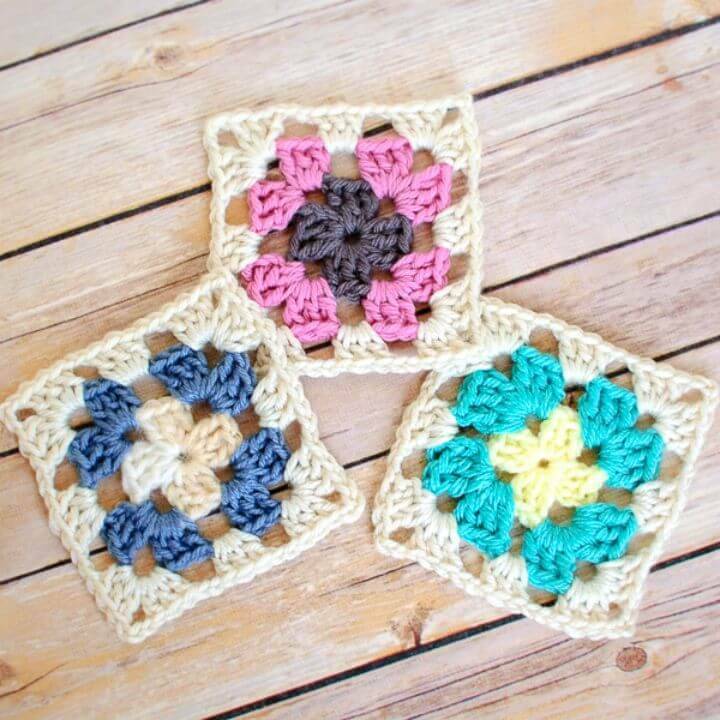 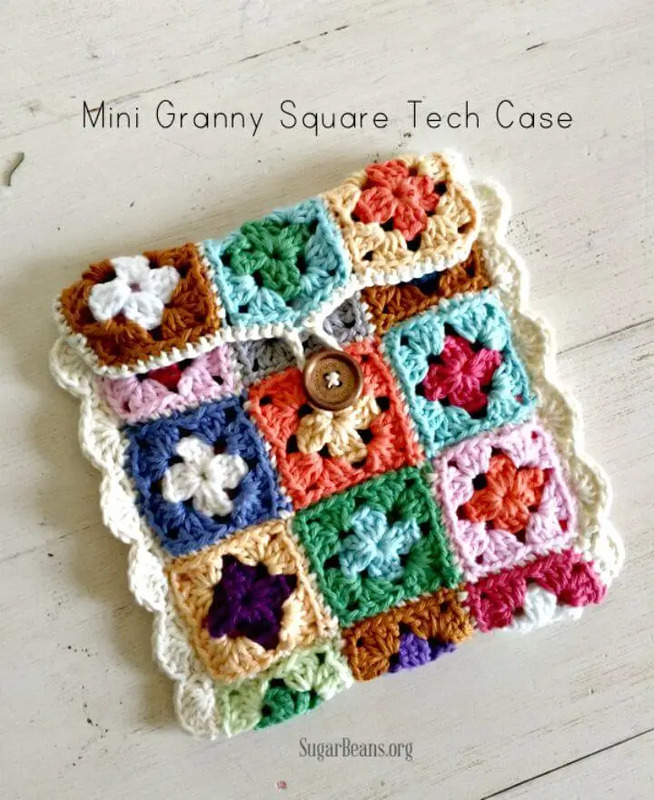 Check out dozens of more granny square design in the given below collection and do hit the attached links to open full free crochet granny square patterns and visual instructions!